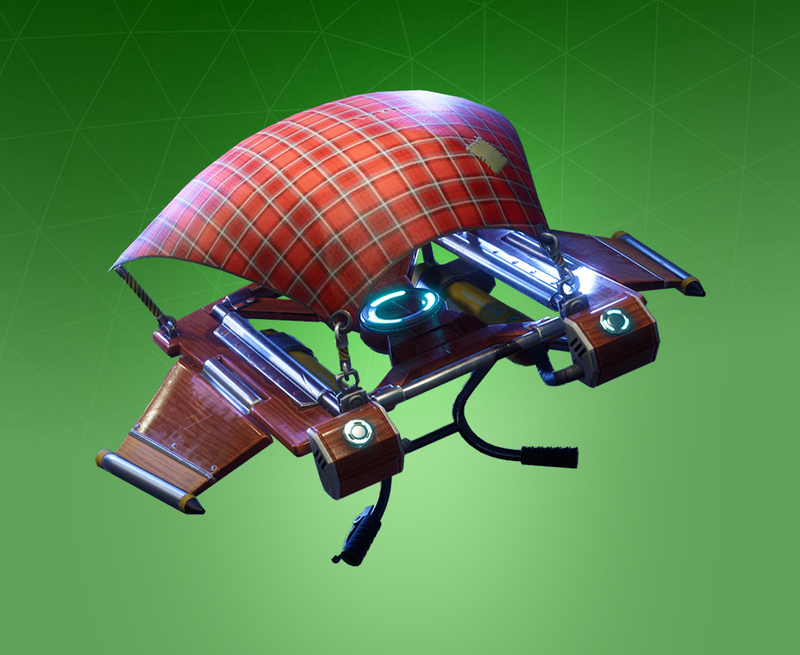 When it comes to Fortnite: Battle Royale, your Glider has plenty of skin options to choose from. 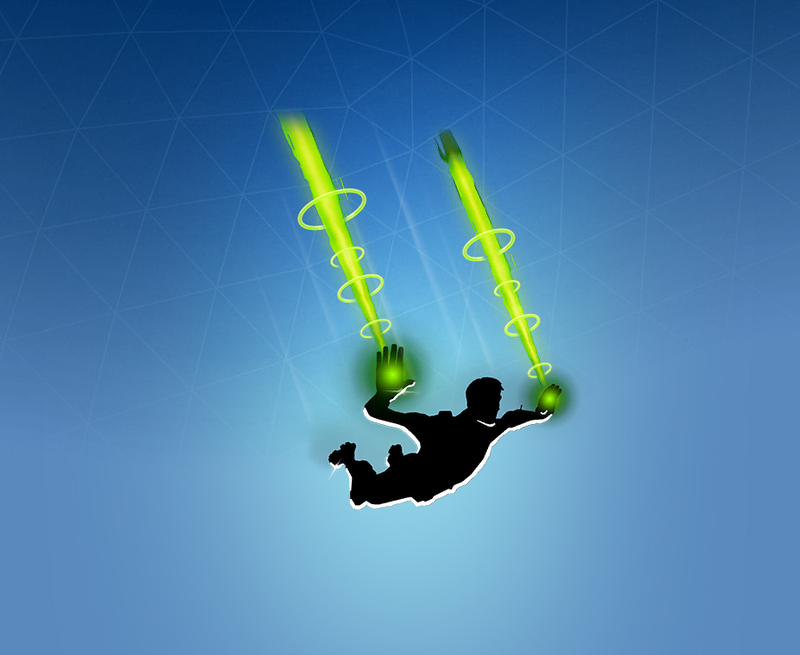 Visible shortly after jumping off the Battle Bus, players can deploy these to help fine-tune their approach. Alongside Gliders, players also have customizable Contrail skins available through Season 3 and Season 5's Battle Passes, letting players stand out as soon as they start diving down to the ground. 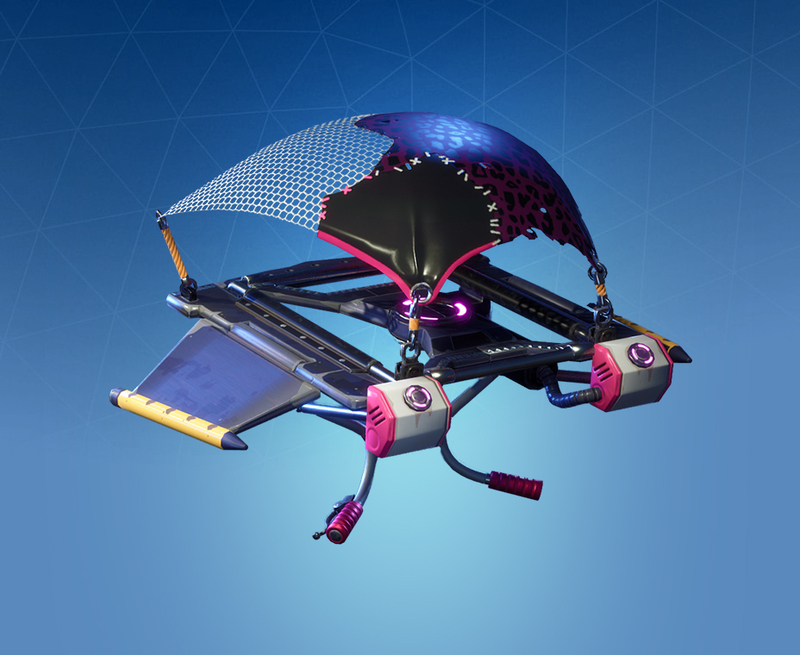 Combined, both a stylish Glider and Contrail are an incredibly great way to show off, especially if you're a YouTuber or Twitch streamer looking to leave a mark on your matches. From the most common Gliders to the rarest Contrails, here's every single one of these skins available for Fortnite: Battle Royale. 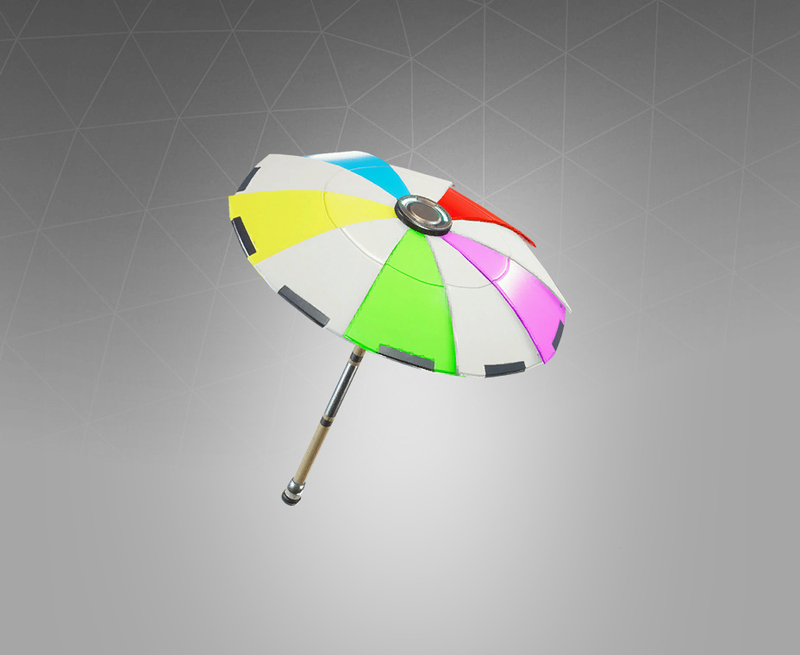 Obtain the Beach Umbrella by winning a Victory Royale during Season 5. 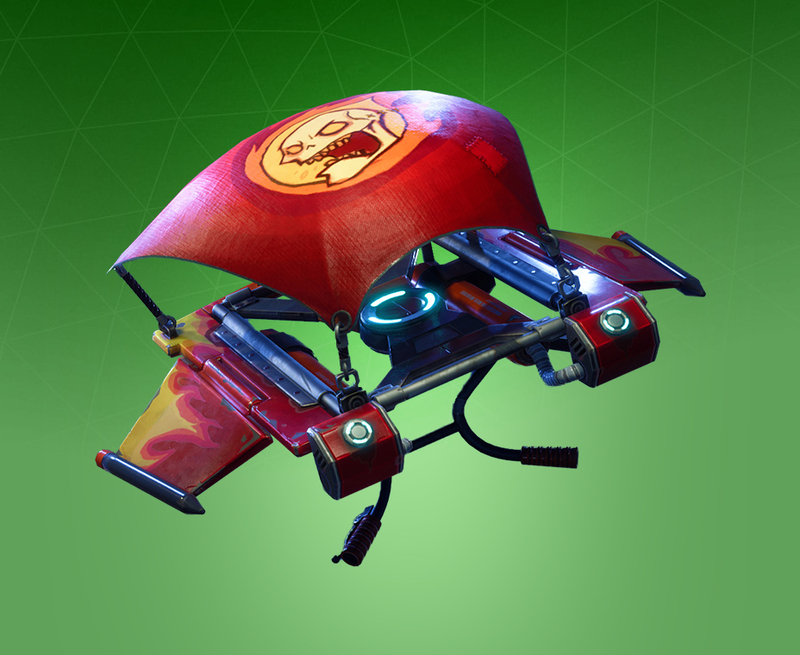 The Founder's Glider skin is available to all Fortnite: Battle Royale players who purchased a Founder's Pack before Fortnite: Save the World's free-to-play release. 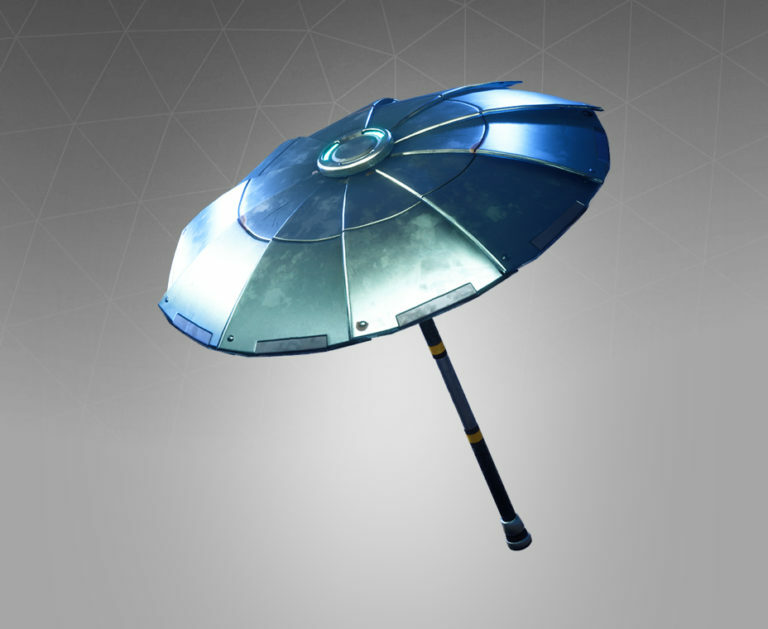 The Founder's Umbrella skin is available to all Fortnite Founder's Pack owners after they win their first Victory Royale. 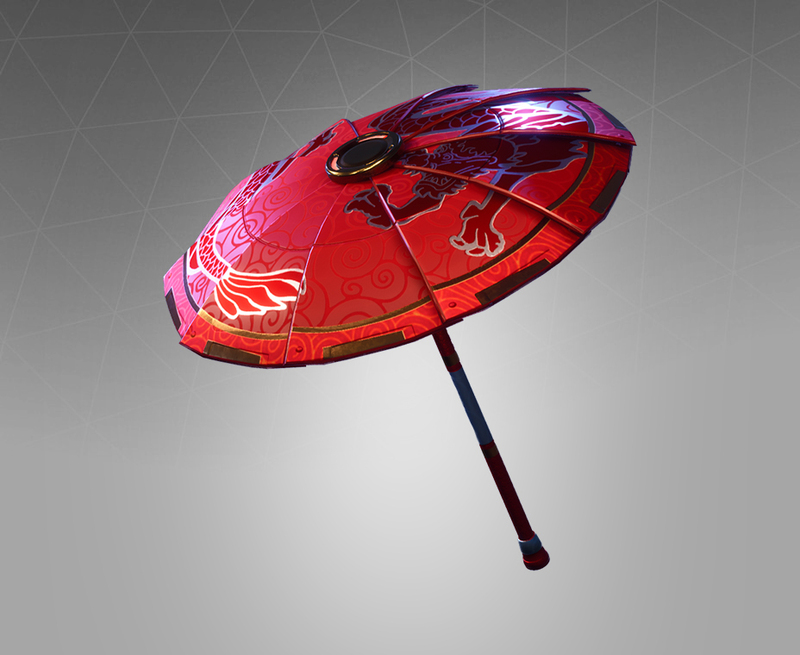 The Paper Parasol skin was available to players who won a match during Season 3. 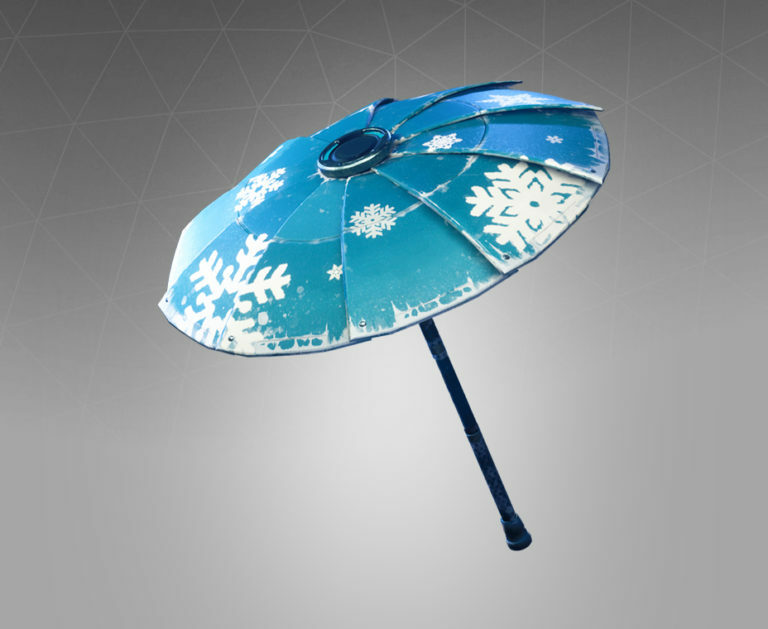 The Snowflake skin was available to players who won a Victory Royale during Season 2. 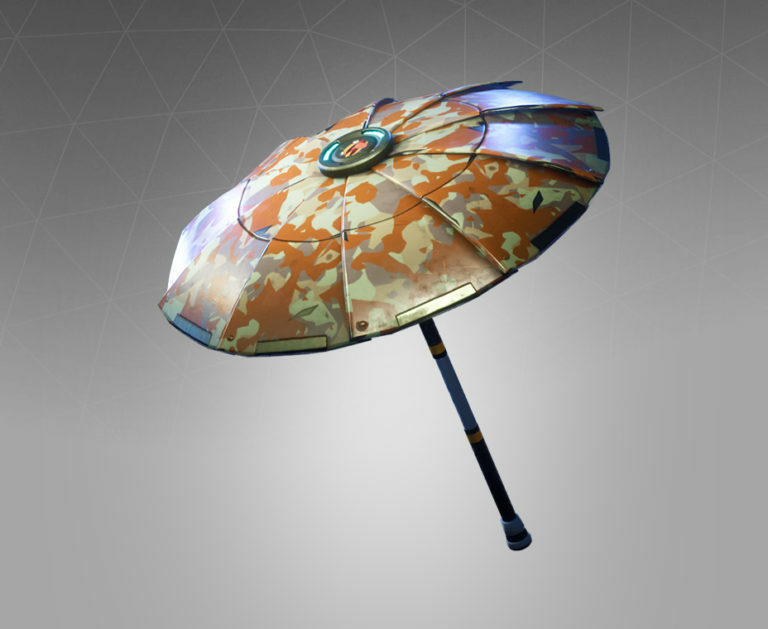 The Umbrella skin is available to any Fortnite: Battle Royale players that win a match at any time. 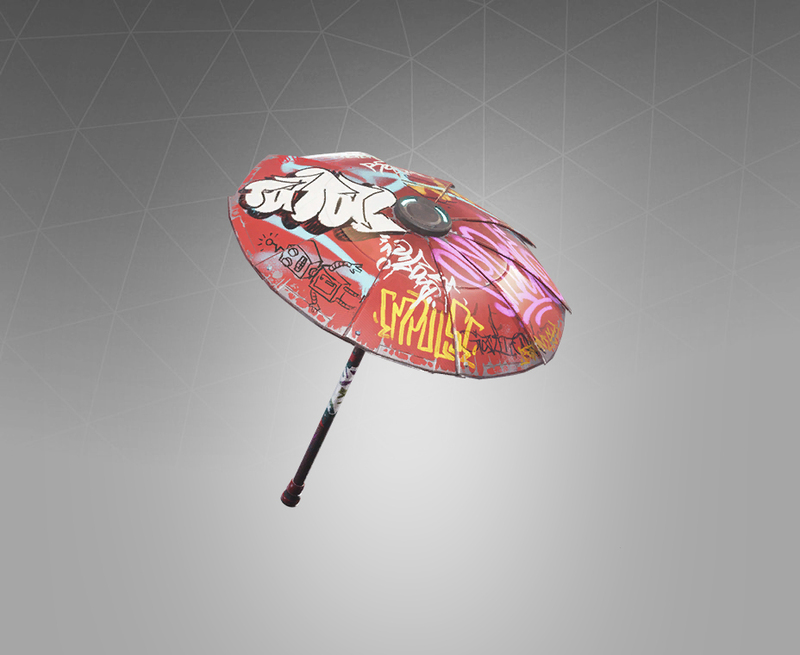 The Wet Paint skin was available to players that won a Battle Royale match during Season 4. The Aerial Assault One skin could be purchased from the Season Shop for 500 V-Bucks during Season 1. Players had to reach Level 5 in order to buy this Glider skin. The Carbon skin was available as a reward for Battle Pass Season 3 owners who reached Tier 39. The Carbon skin is part of the Black Vector set. The Checker skin is available on the Item Shop for 500 V-Bucks. 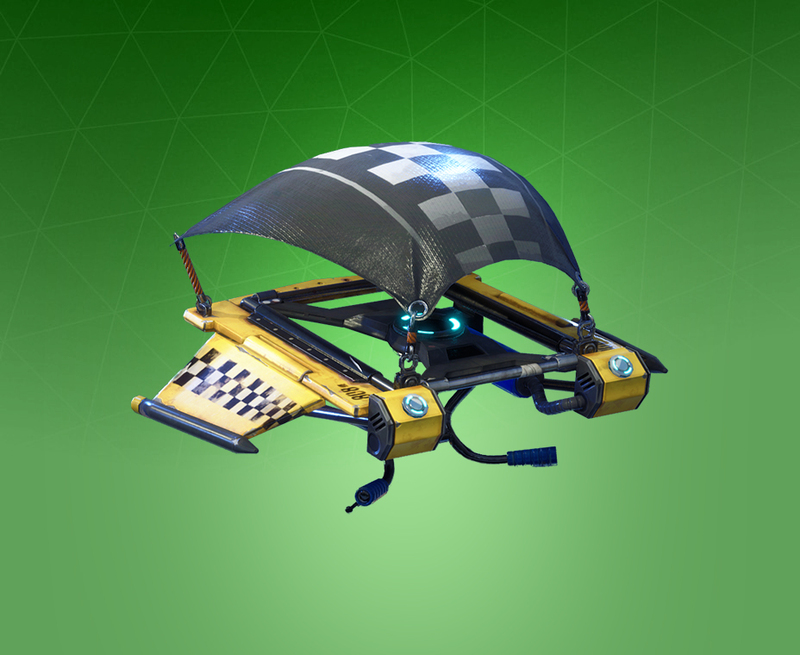 This skin is also part of the Racer Royale set. The Cruiser skin is available as a Tier 7 reward for Battle Pass Season 5 owners. 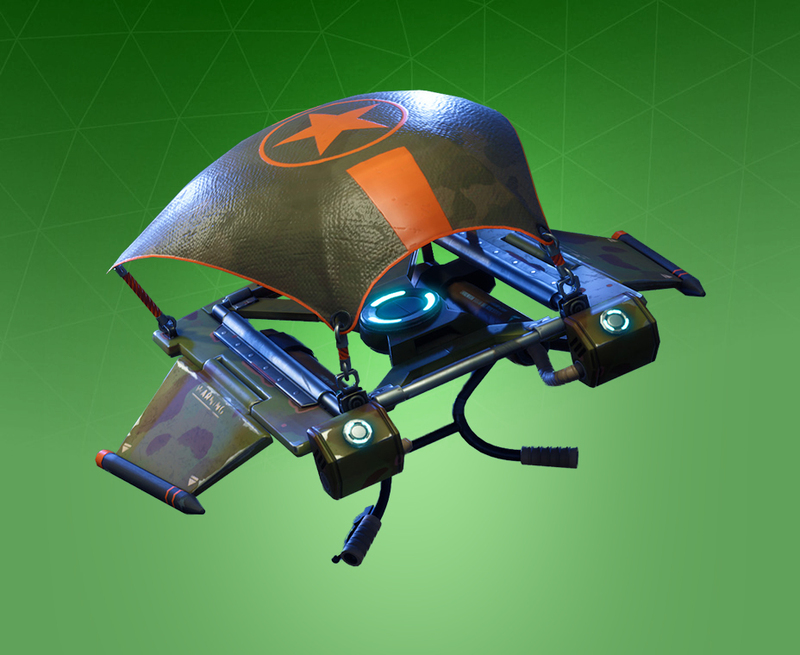 This Glider is from the Cobra Crew set. The Downshift skin is available to all Free Pass players who reach Tier 22 during Season 5. 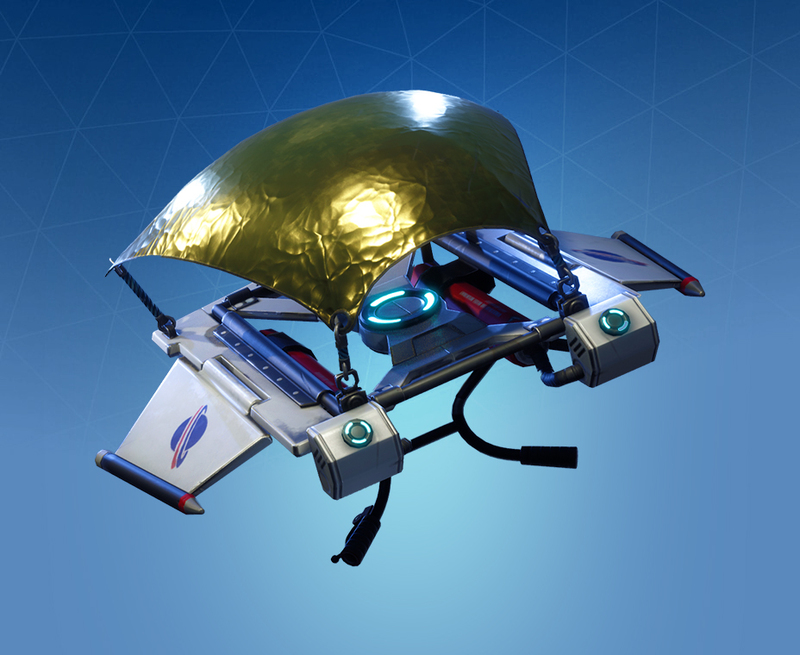 This Glider is from the RPM set. The Fighter Kite skin is available on the Item Shop for 500 V-Bucks. 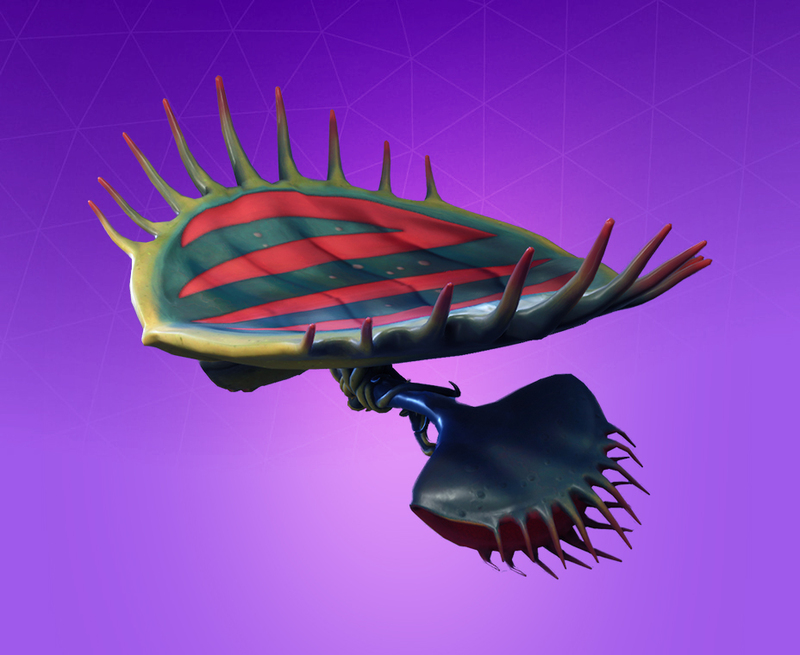 The Fossil Flyer skin is available on the Item Shop for 500 V-Bucks. It is also part of the Dino Guard set. The Glow Rider skin can be purchased from the Item Shop for 500 V-Bucks. It is also part of the Neon Glow set. The Goalbound skin is part of the Goalbound set. 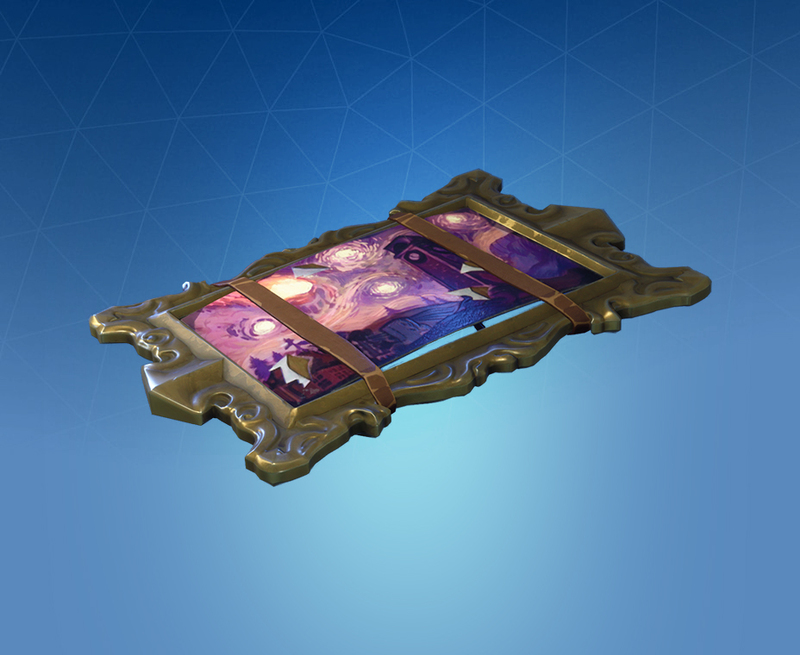 Players can purchase it for 500 V-Bucks from the Item Shop. The Hot Rod skin is available on the Item Shop for 500 V-Bucks. 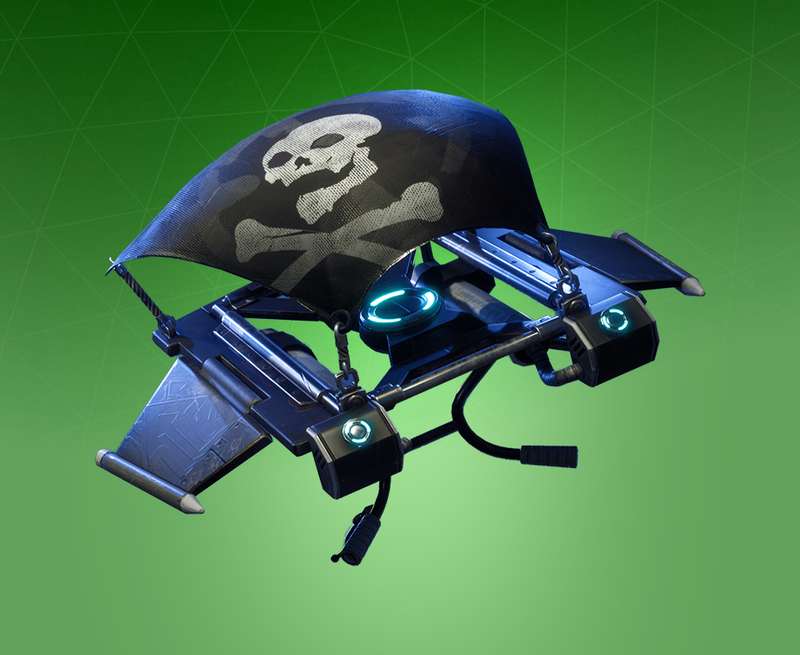 The Jolly Roger skin can be purchased from the Item Shop for 500 V-Bucks. 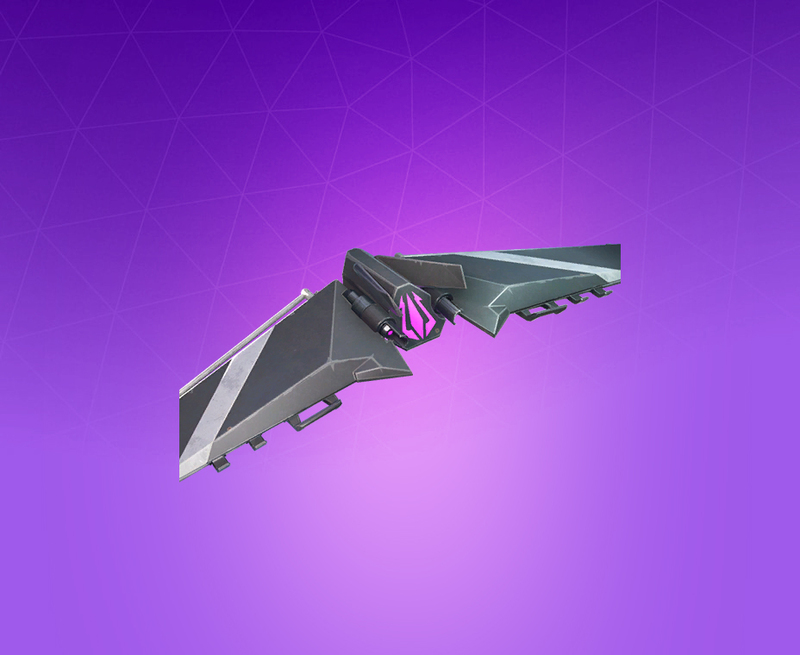 The Mainframe skin is available on the Item Shop for 500 V-Bucks. It is also part of the Overclocked set. 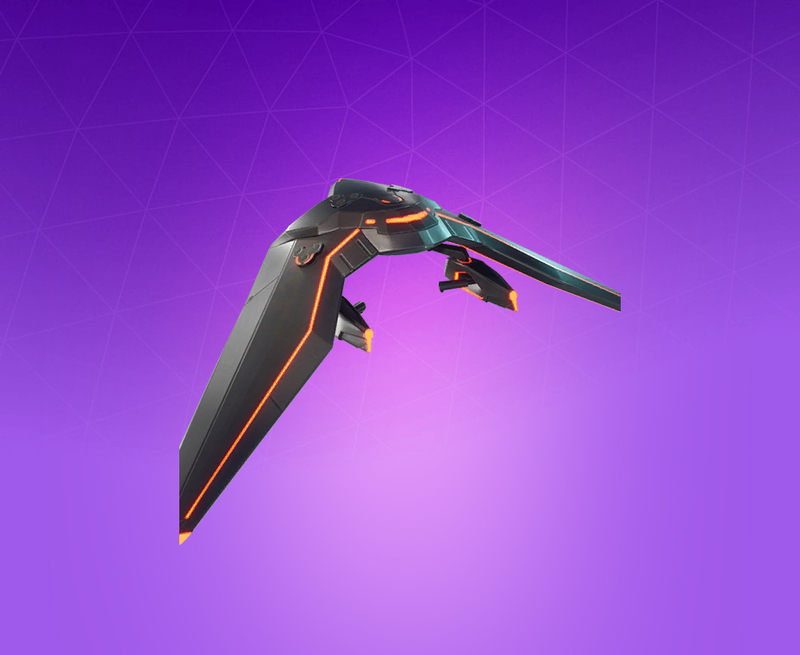 The Mako skin was available to Battle Pass Season 1 owners that reached Level 25. The Meltdown skin is available on the Item Shop for 500 V-Bucks. It is part of the Outbreak set. The Modern skin is available from the Item Shop for 500 V-Bucks. The Petunia skin is available from the Item Shop for 500 V-Bucks. The Raptor skin is available from the Item Shop for 500 V-Bucks. The Rhinestone Rider skin is available on the Item Shop for 500 V-Bucks. It is part of the Sharp Style set. 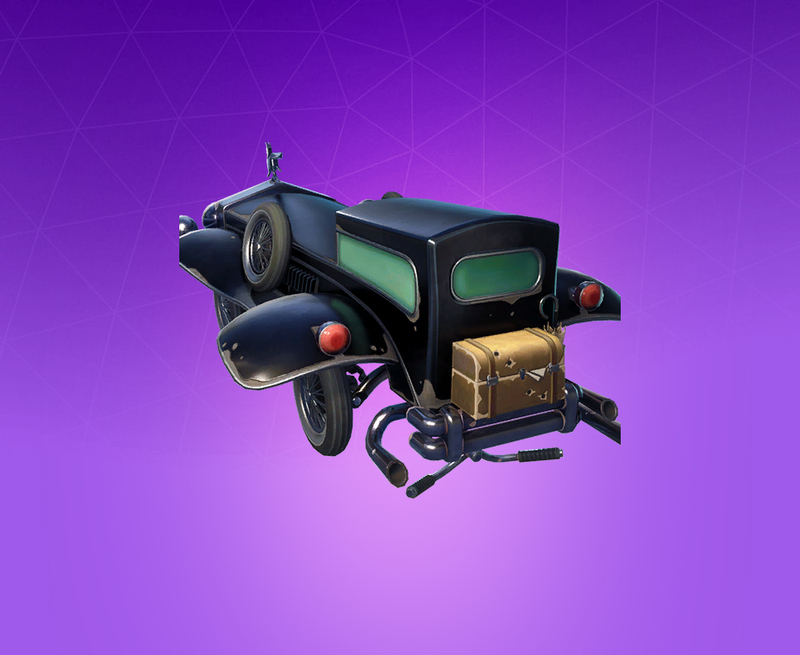 The Roadtrip skin is available for 500 V-Bucks from the Item Shop. The Royale X skin was available to all Battle Pass Season 2 owners who reached Tier 42. It is part of the Storm Fusion set. 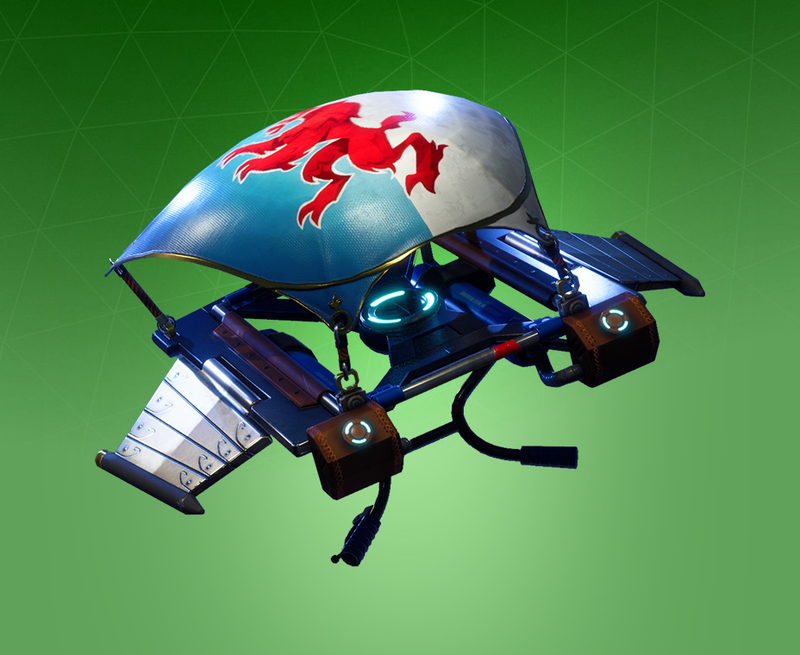 The Sir Glider the Brave skin was a reward for all Battle Pass Season 2 owners who reached Tier 35. The Snow Squall skin is available from the Item Shop for 500 V-Bucks. This Glider is also part of the Arctic Command set. The Solid Strider skin is available from the Item Shop for 500 V-Bucks. This skin is part of the Solid Steel set. 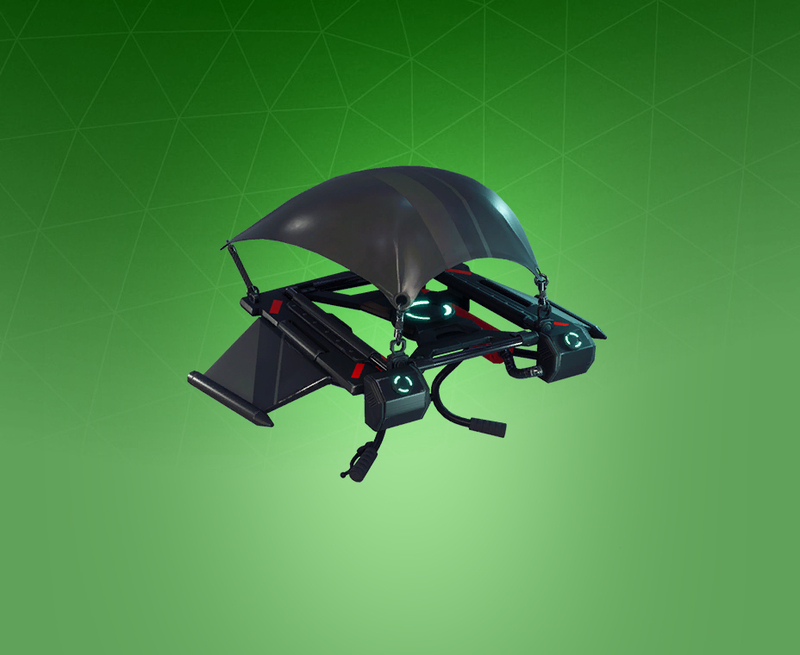 The Stealth skin is available from the Item Shop for 500 V-Bucks. The Storm Sigil skin is available as a Holiday skin on the Item Shop. 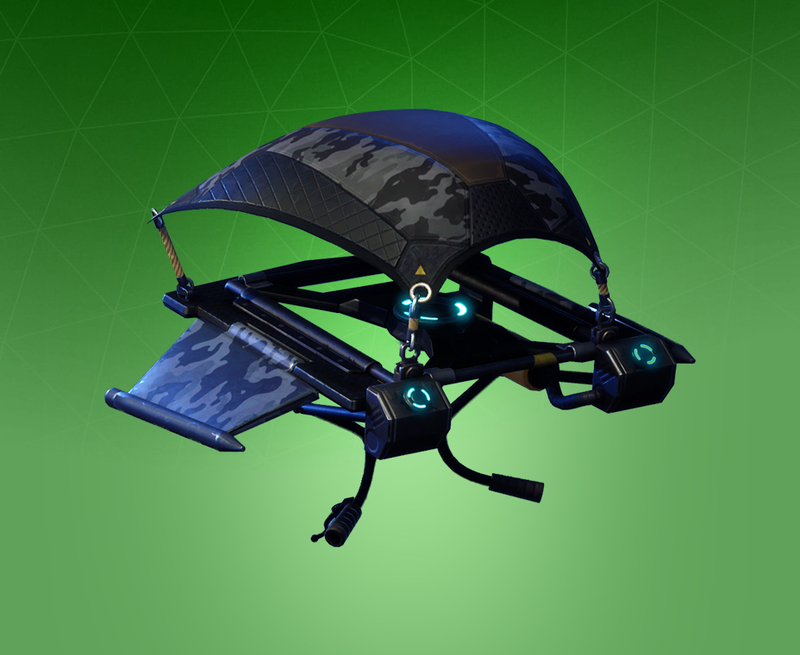 When the Glider is up for purchase, players can buy it for 500 V-Bucks. The Storm Sigil is also part of the Laoch set. The Triumph skin is part of the Venture set. 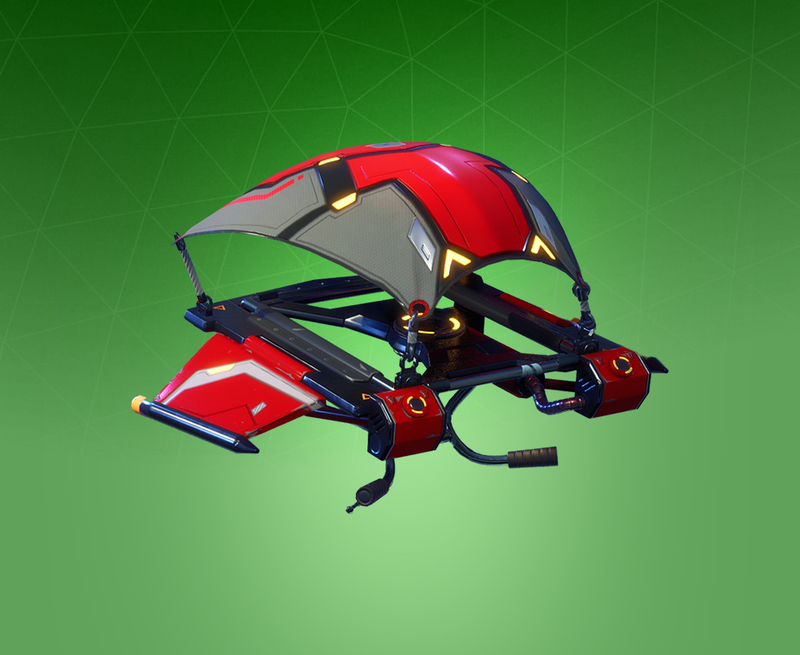 It can be purchased from the Item Shop for 500 V-Bucks. 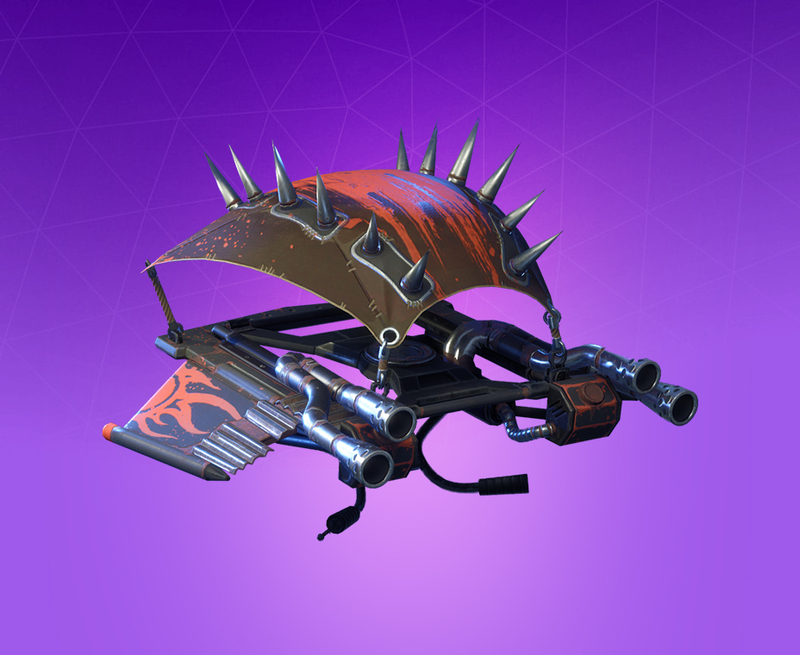 The Warthog skin is available from the Item Shop for 500 V-Bucks. 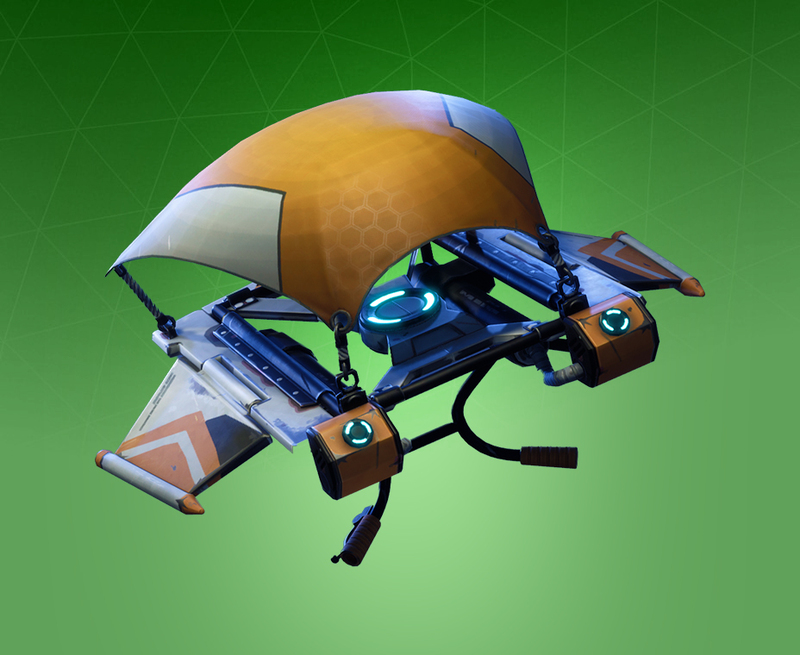 The Wasp skin is available from the Item Shop for 500 V-Bucks. The Blue Streak skin was available to all PlayStation Plus subscribers who acquired the original PlayStation Plus Celebration Pack. Any PlayStation 4 users who acquired the pack could use it on their PC by linking their Epic Games account to their PlayStation Network username. 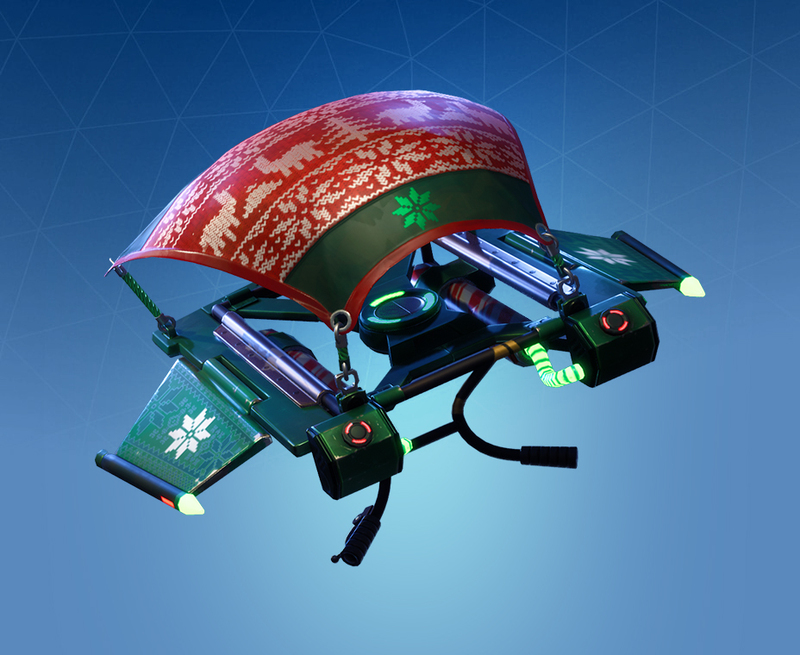 The Cozy Coaster is a Holiday Glider skin available from the Item Shop. 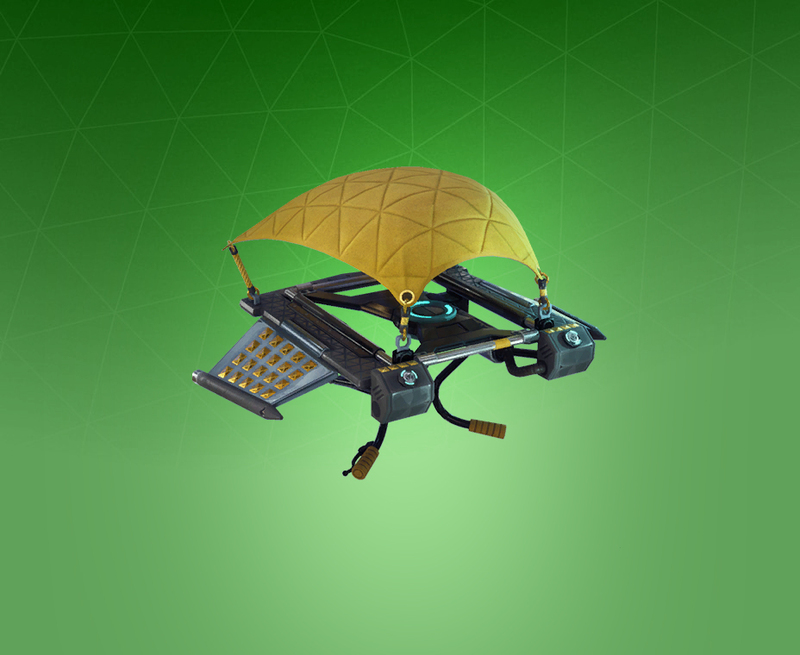 Players can purchase it for 800 V-Bucks when available. 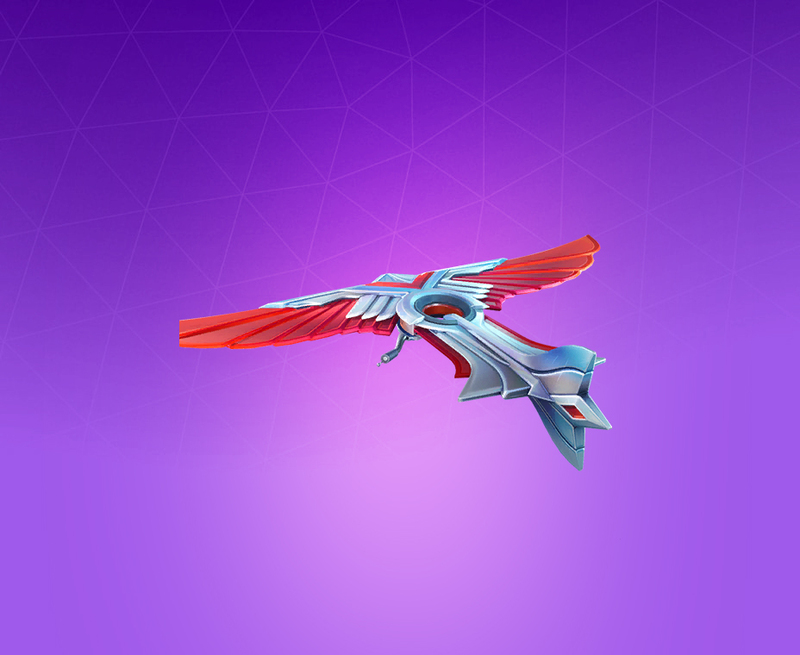 The Feathered Flyer skin is available from the Item Shop for 800 V-Bucks. 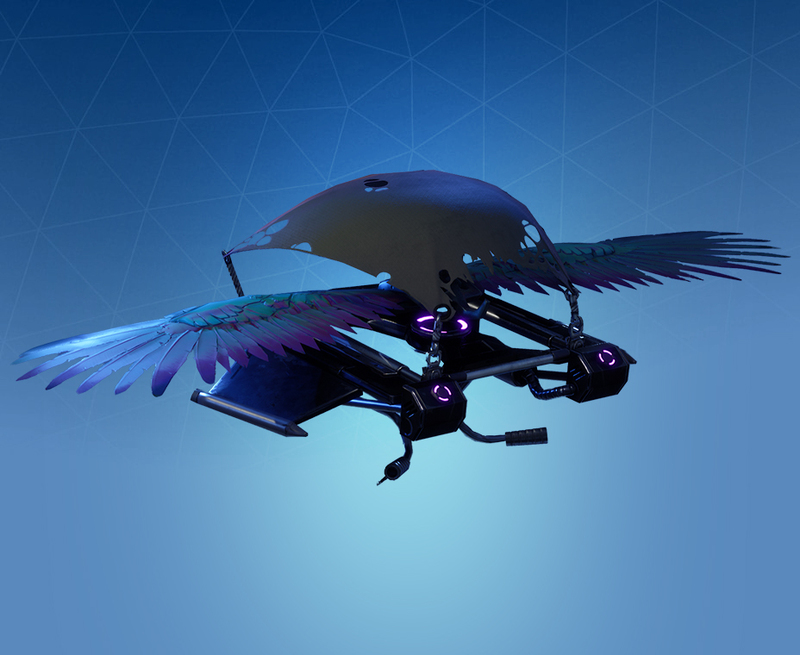 This Glider is also part of the Nevermore set. The Forerunner skin is available as part of the Apex Protocol set. Players can purchase it for 800 V-Bucks from the Item Shop. The Googly skin is available from the Item Shop for 800 V-Bucks. 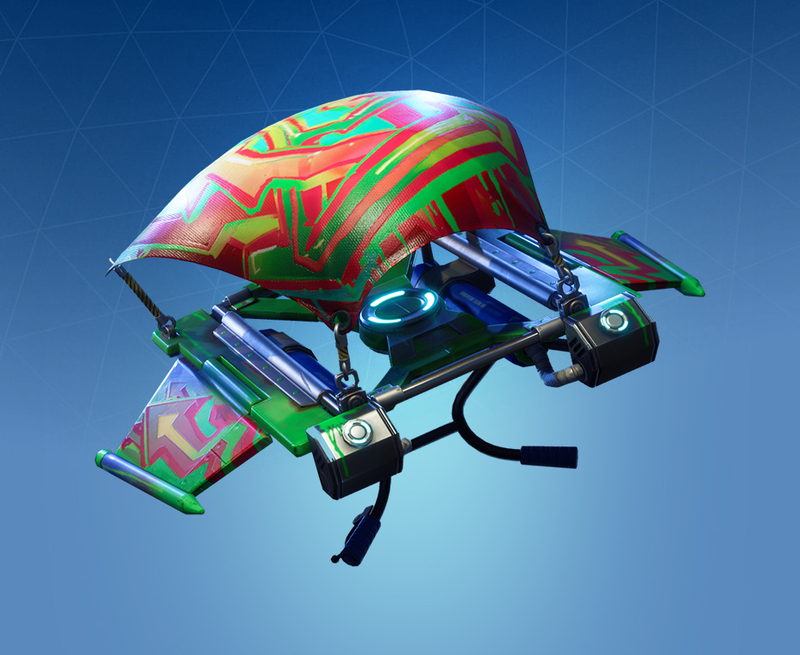 The Gum Drop skin is available as a Holiday Glider. 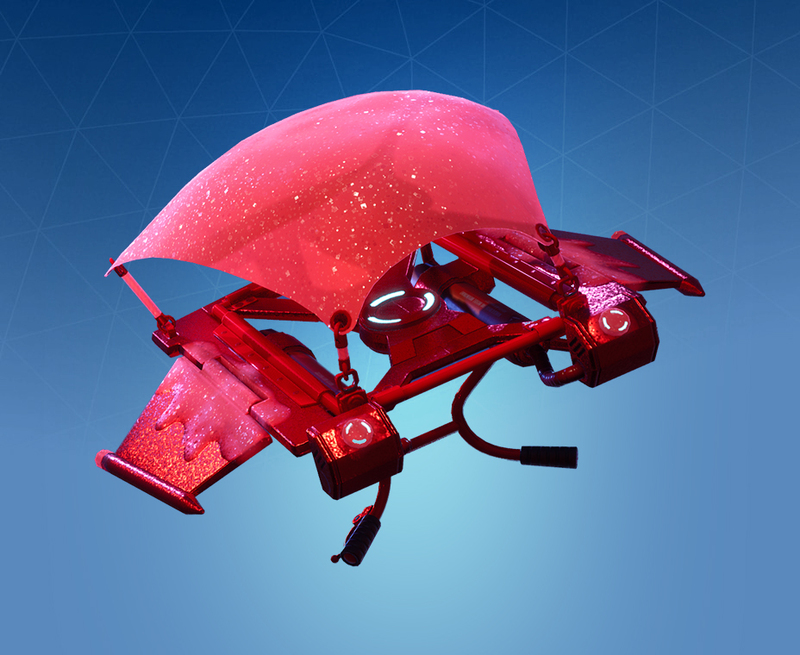 When players can purchase it, the Item Drop sells this skin for 800 V-Bucks. 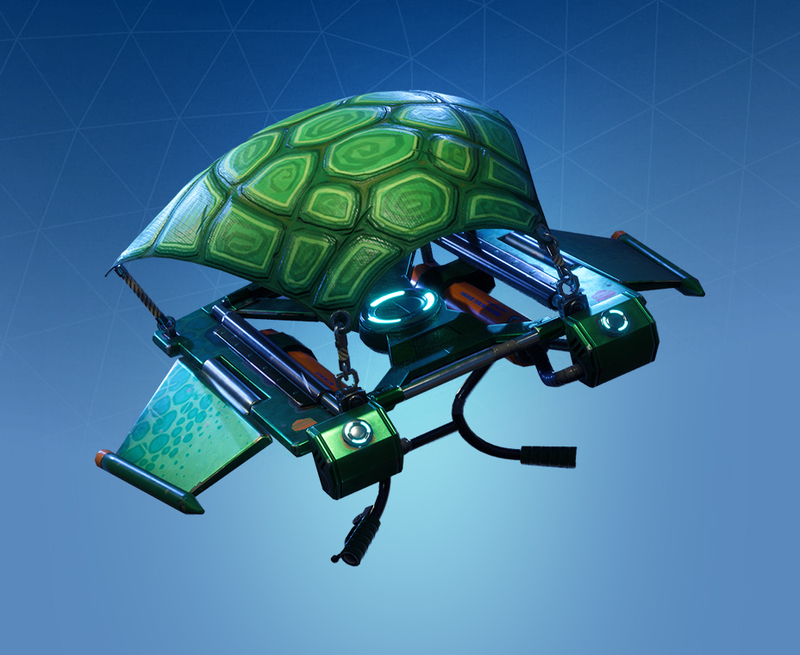 The Half Shell skin can be purchased from the Item Shop for 800 V-Bucks. 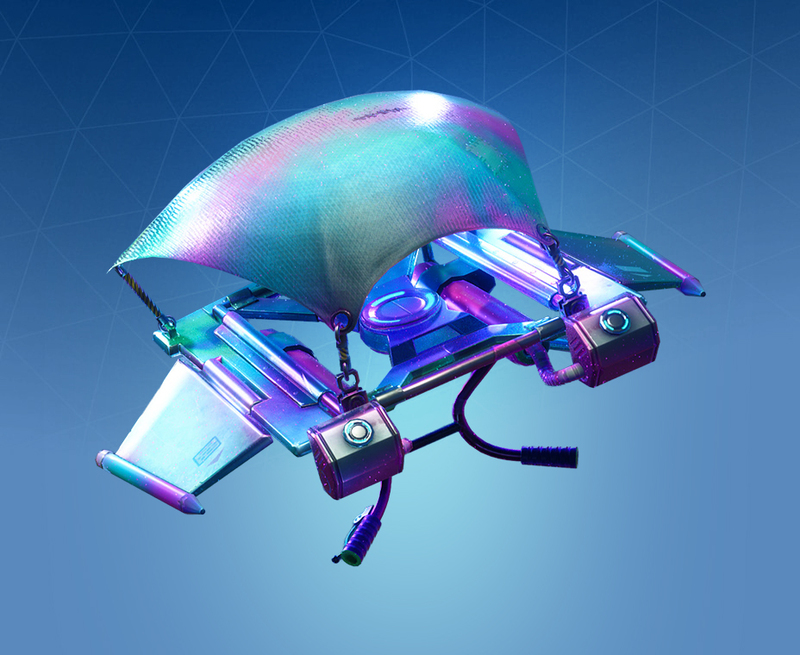 The Prismatic skin is available from the Item Shop for 800 V-Bucks. 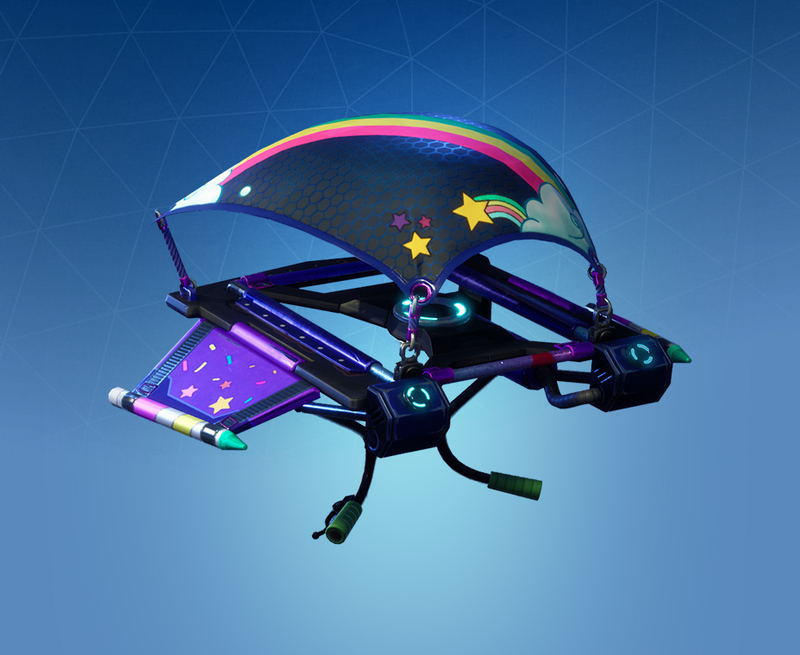 The Rainbow Rider skin was available as a Tier 15 reward for Battle Pass Season 3 owners. 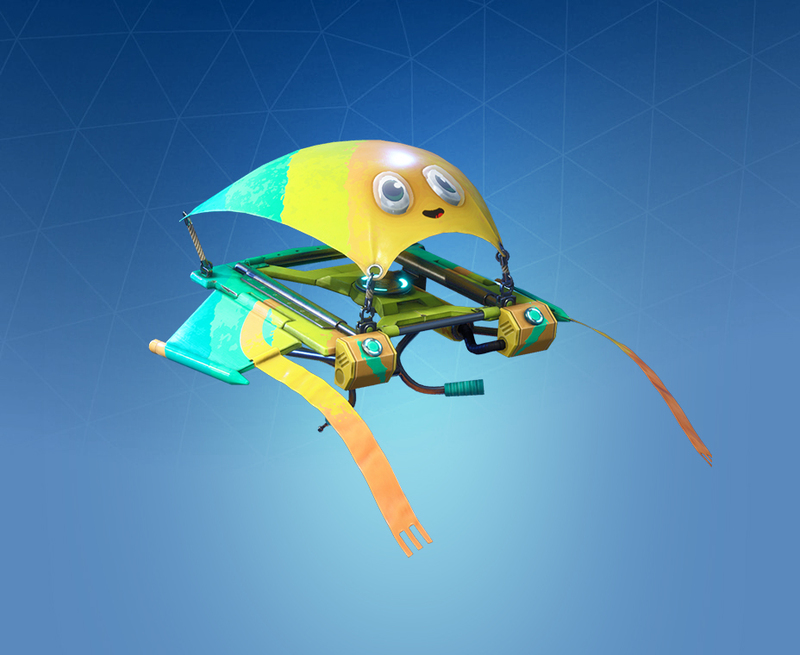 This Glider is part of the Sunshine & Rainbows set. The Stage Dive skin is available from the Item Shop for 800 V-Bucks. 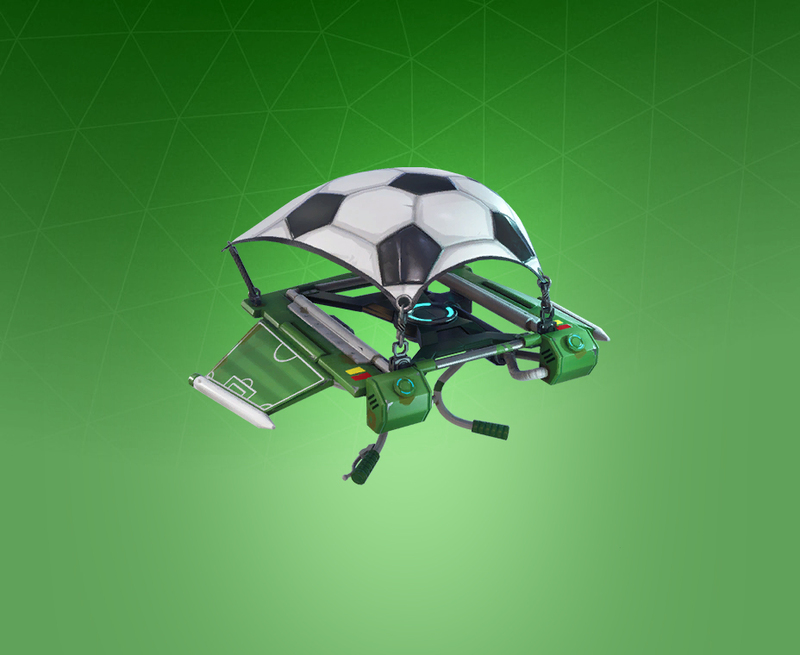 This Glider is part of the Volume 11 set. 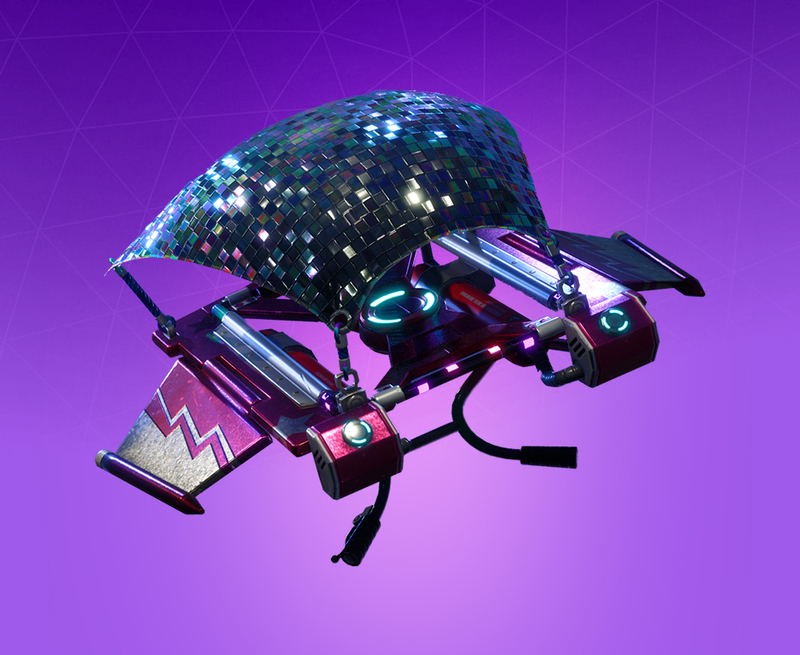 The Starry Flight skin is part of the Jailbird set. Players can purchase this skin for 800 V-Bucks from the Item Shop. The Sugar Crash skin was available for Battle Pass Season 4 owners who reached Tier 15. 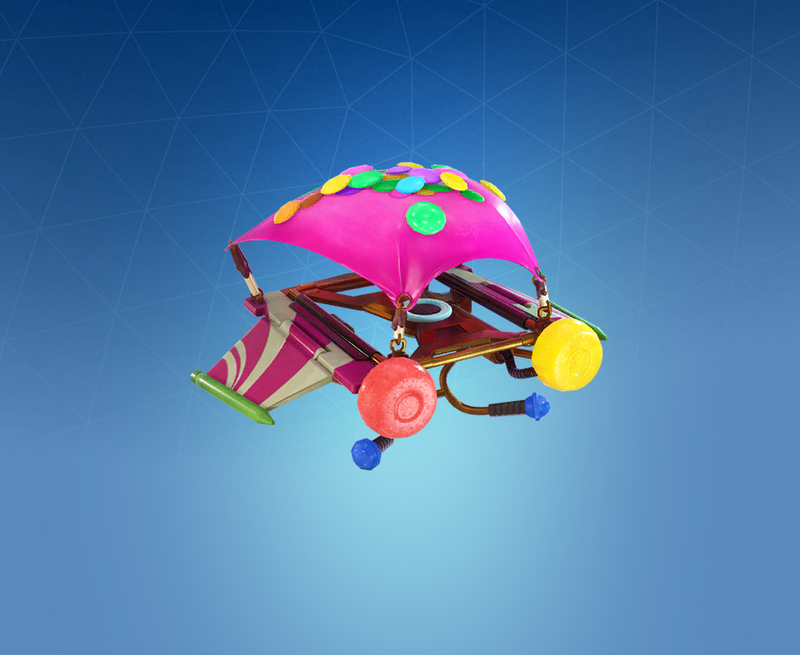 This Glider is part of the Sweet Tooth set. The Voyager skin is available from the Item Shop for 800 V-Bucks. 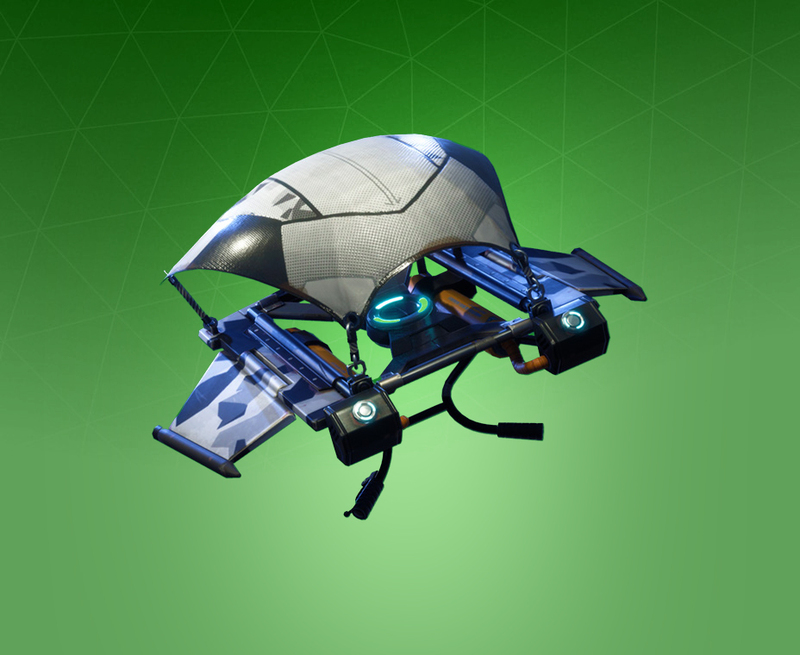 This Glider is part of the Space Explorers set. The Zephyr skin is available on the Item Shop for 800 V-Bucks. 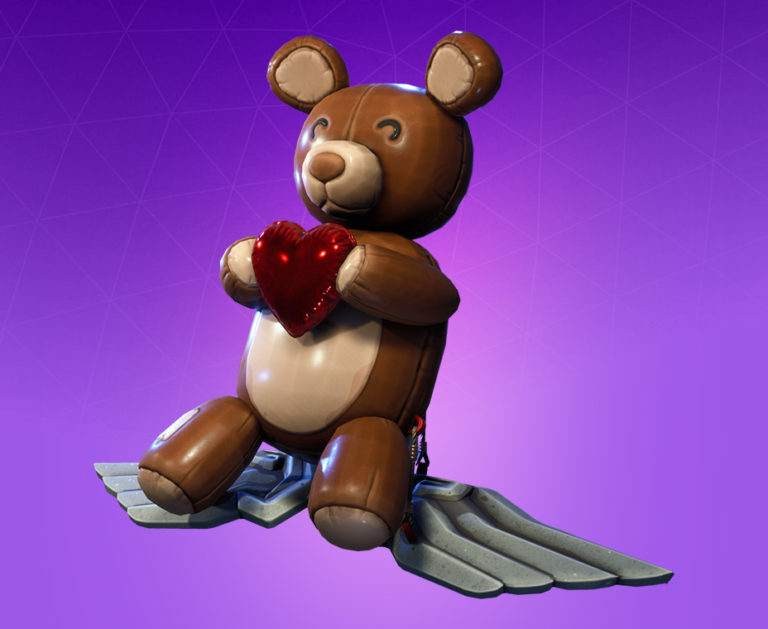 The Bear Force One skin is available as a Holiday Glider. 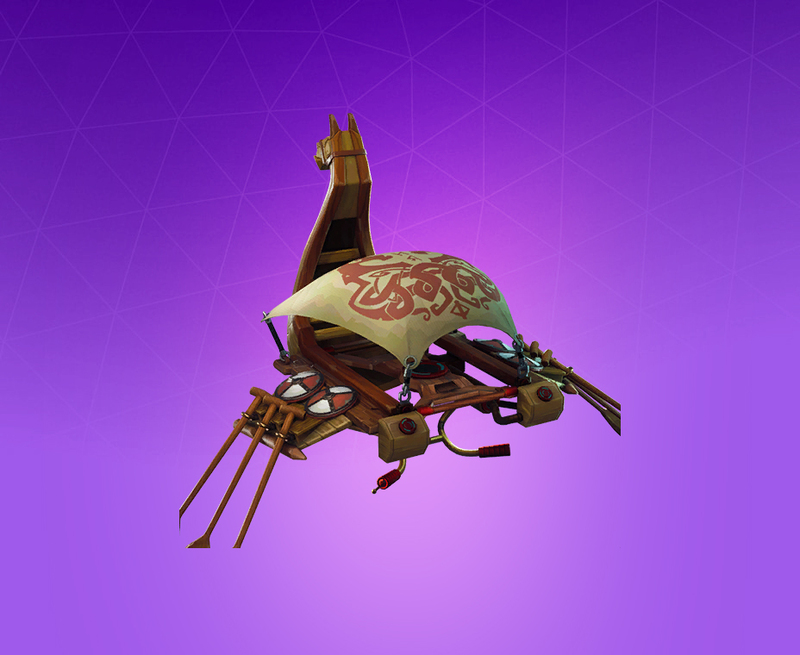 Part of the Royale Hearts set, this Glider can be purchased for 1,500 V-Bucks on the Item Shop when it is on sale. The Cloud Strike skin is available for 1,200 V-Bucks on the Item Shop. The Conquest skin is available as a Tier 39 reward for all Battle Pass Season 5 owners. 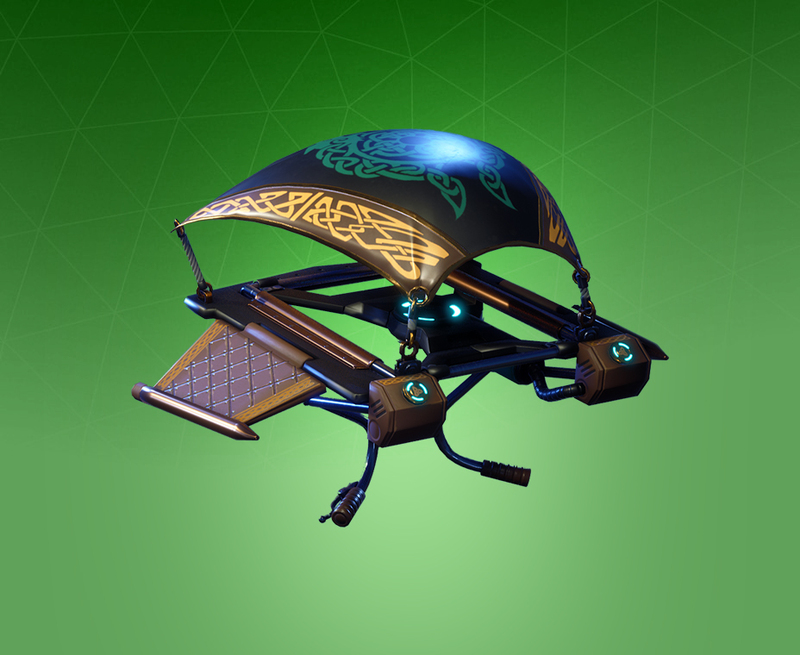 This Glider is from the Norse set. 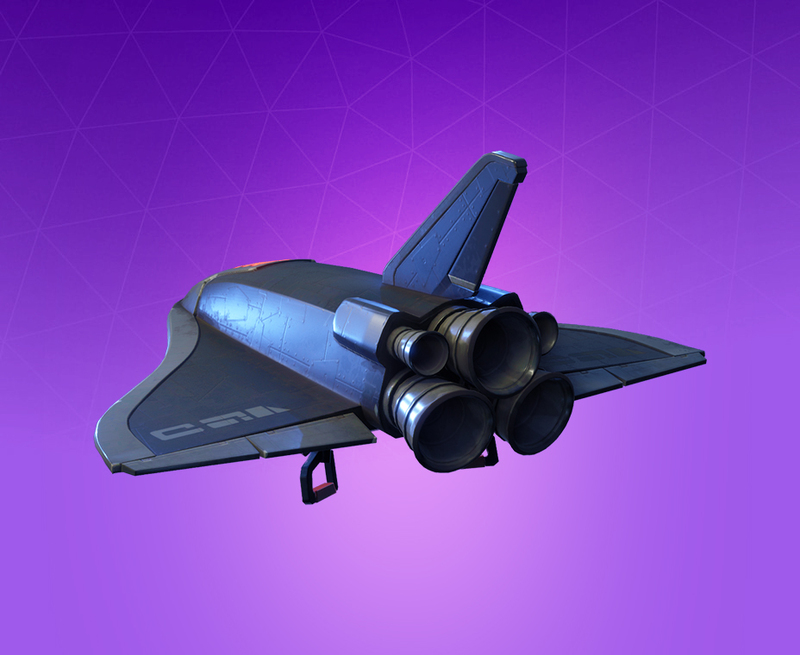 The Deep Space Lander skin is available for 1,200 V-Bucks on the Item Shop. 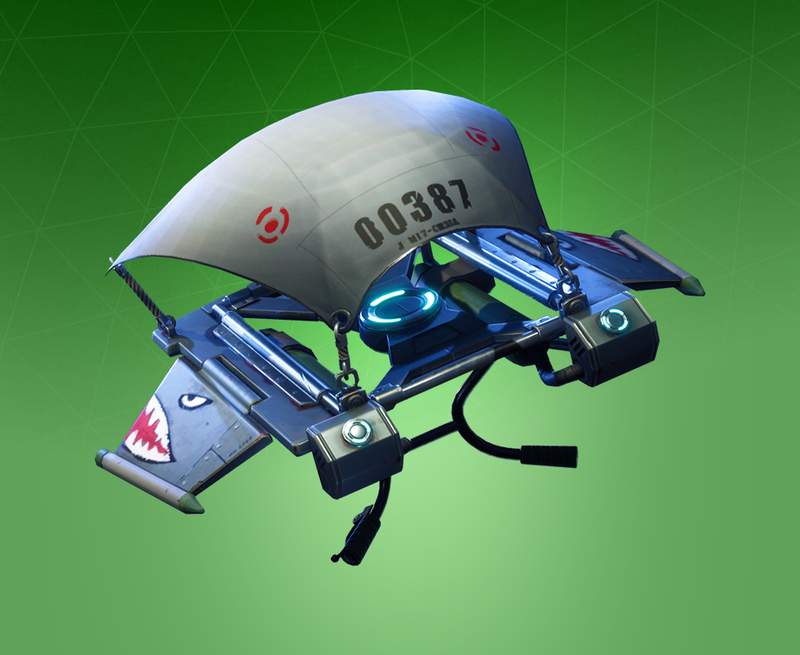 This Glider is part of the Space Explorers set. The Get Down! skin was available as a Tier 14 reward for Battle Pass Season 2 owners. 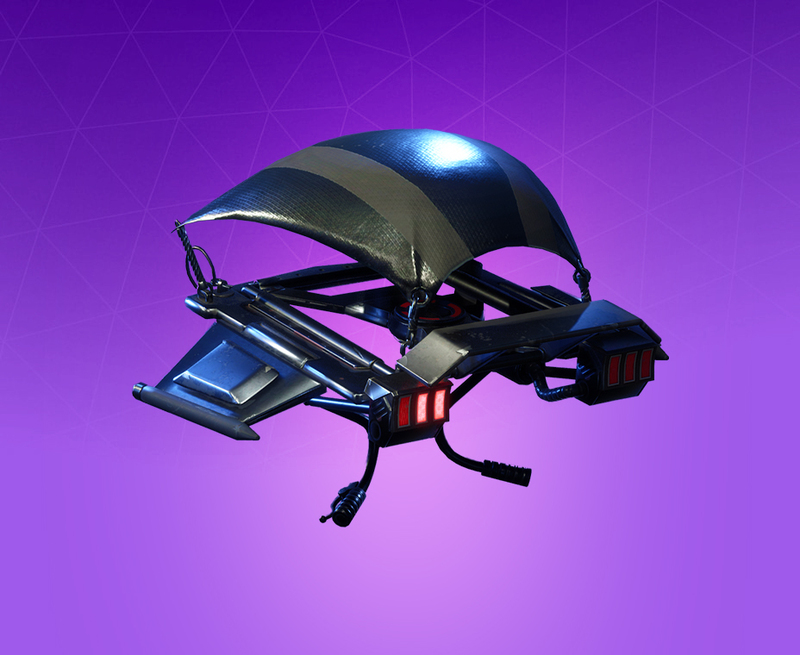 This Glider is from the Fortnite Fever set. The Hang Time skin is available from the Item Shop for 1,200 V-Bucks. 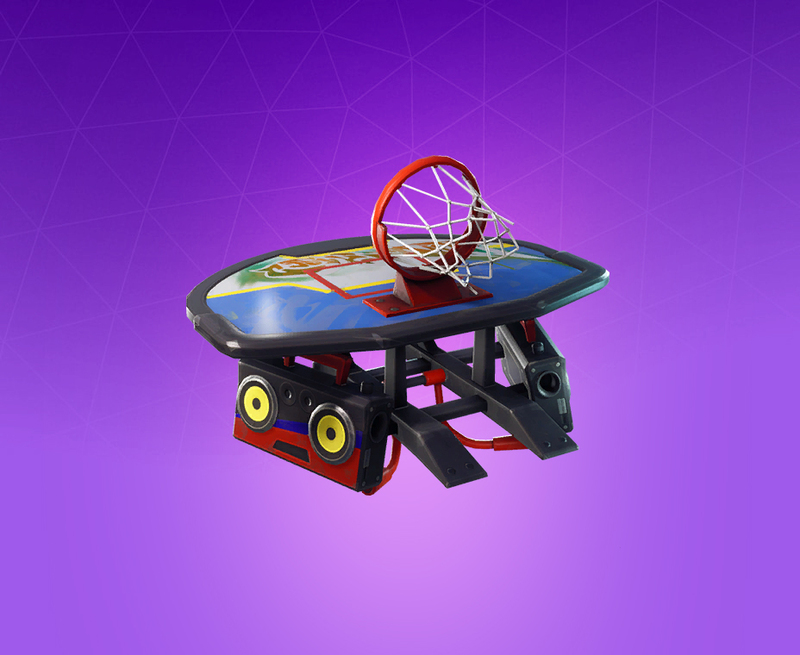 This skin is part of the Half Court set. The High Octane skin was available for completing five out of seven Tier 100 challenges for Battle Pass Season 3 owners. 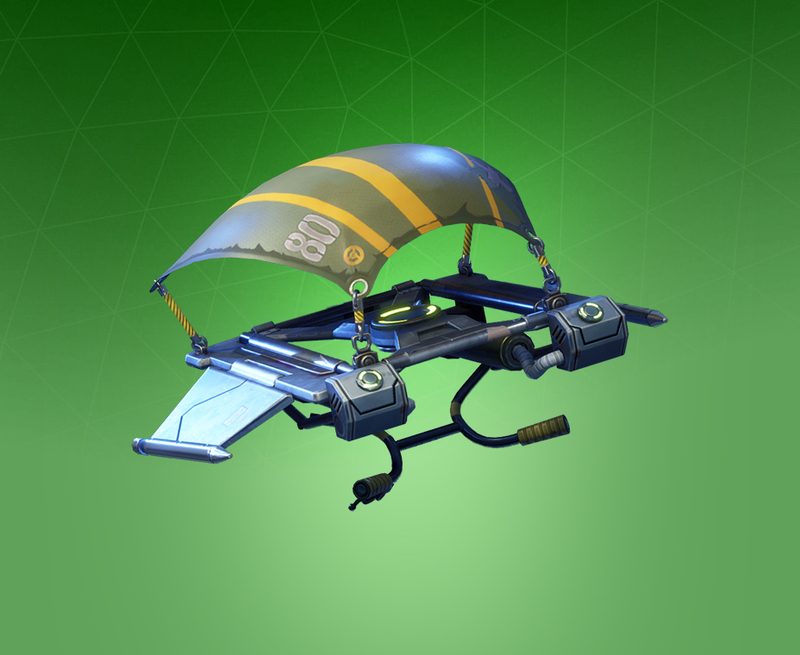 This Glider is part of the Hired Gun set. The Intrepid skin was available for Battle Pass Season 4 owners that reached Tier 79. 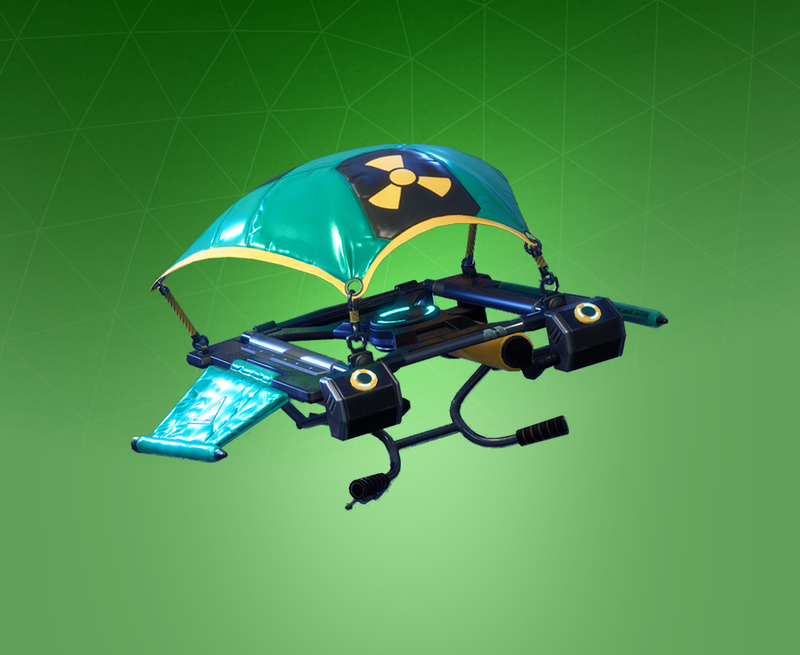 This Glider is part of the Carbide set. 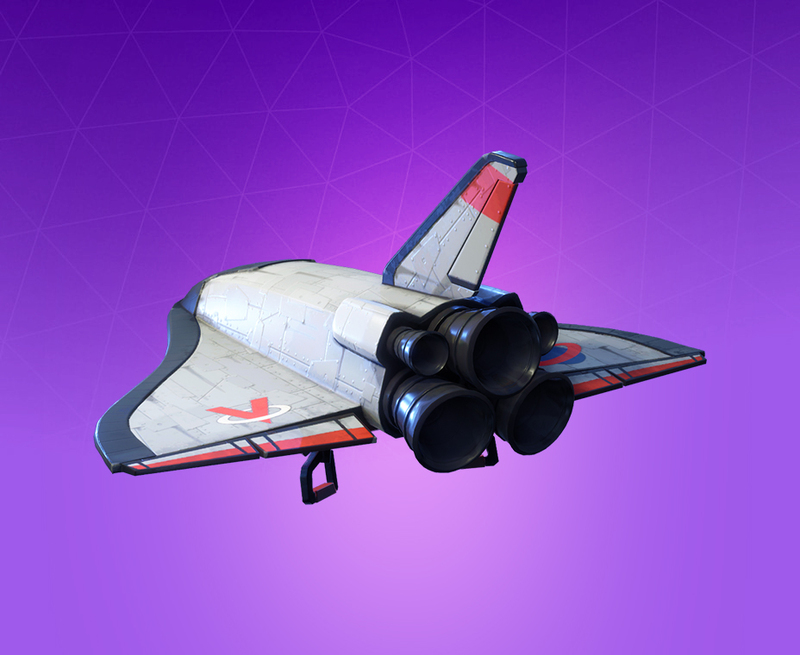 The Orbital Shuttle skin is available on the Item Shop for 1,200 V-Bucks. This skin is part of the Space Explorers set. 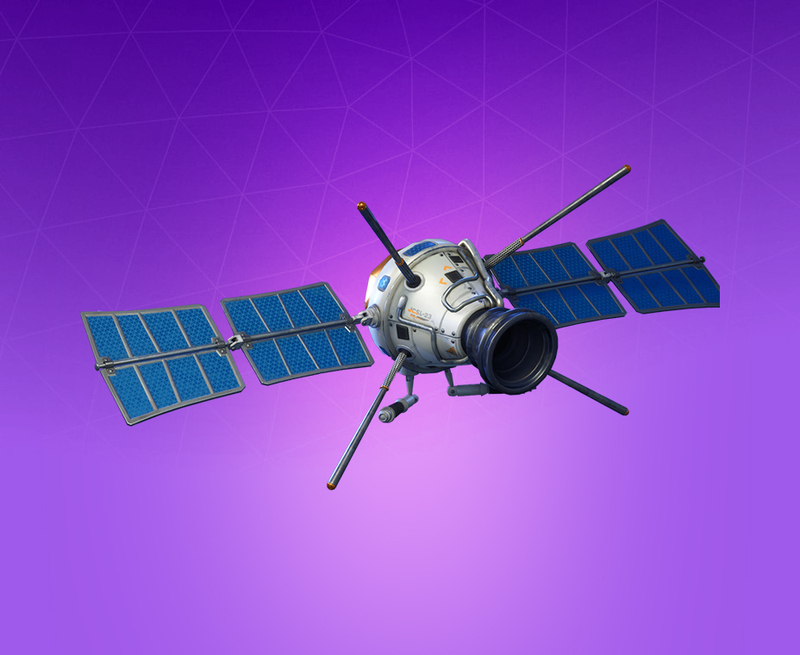 The Planetary Probe skin is available for 1,200 V-Bucks on the Item Shop. 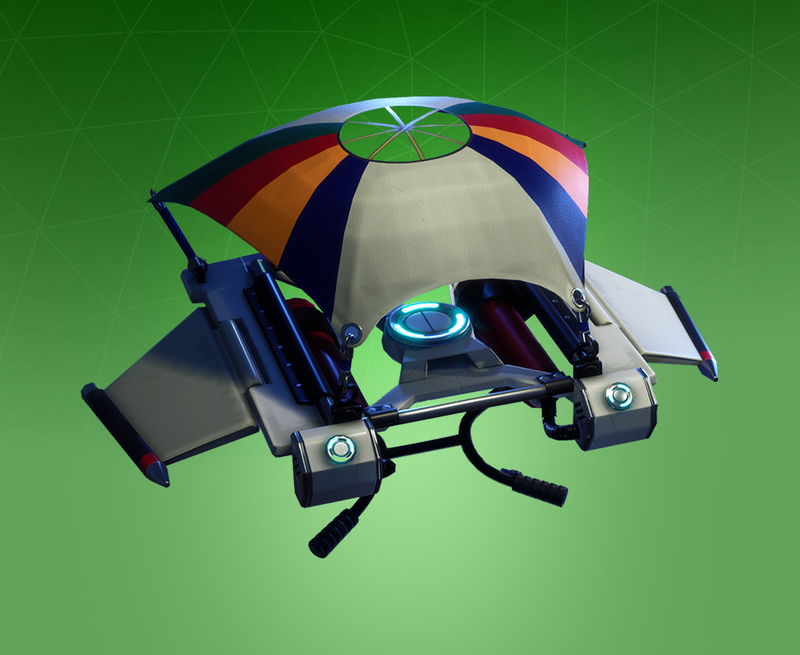 This Glider is part of the Space Explorers set. 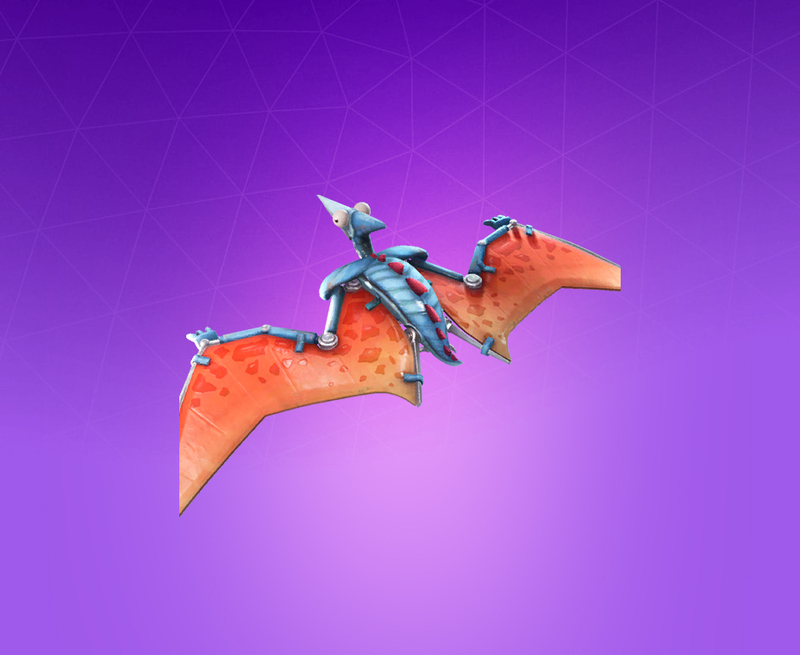 The Pterodactyl skin is available for 1,200 V-Bucks from the Item Shop. This skin is part of the Dino Guard set. The Rusty Rider skin is available for 1,200 V-Bucks from the Item Shop. 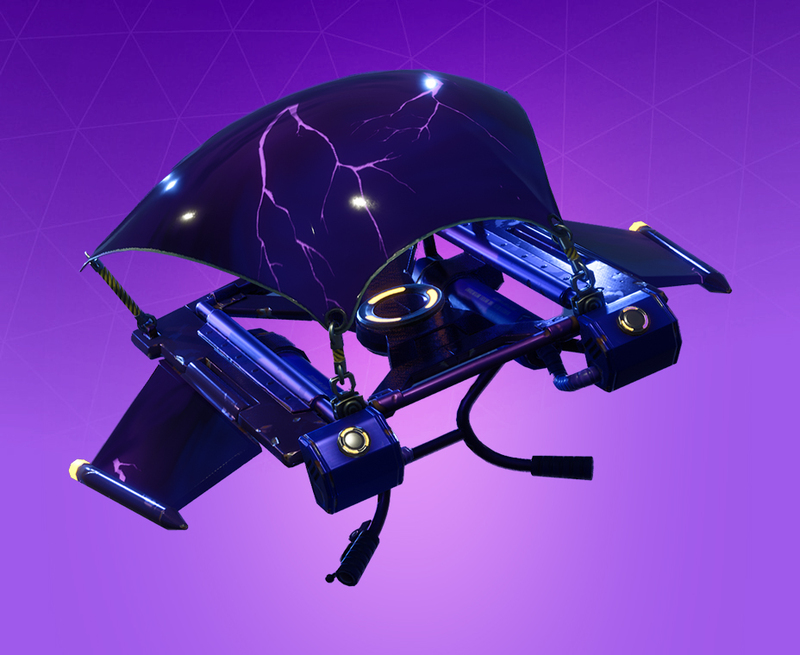 This Glider is part of the Storm Scavenger set. 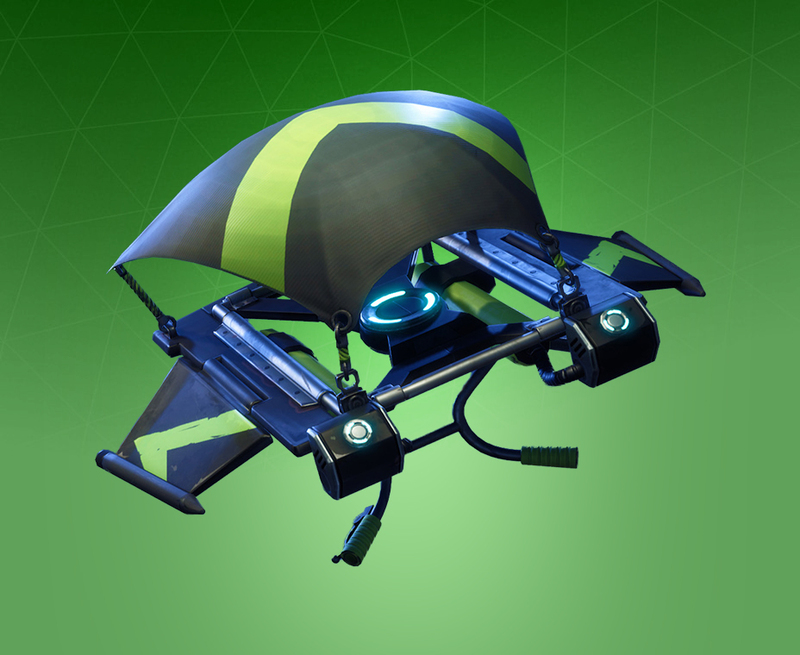 The Slipstream skin was available as part of the Twitch Prime Pack 1 for Twitch Prime subscribers. 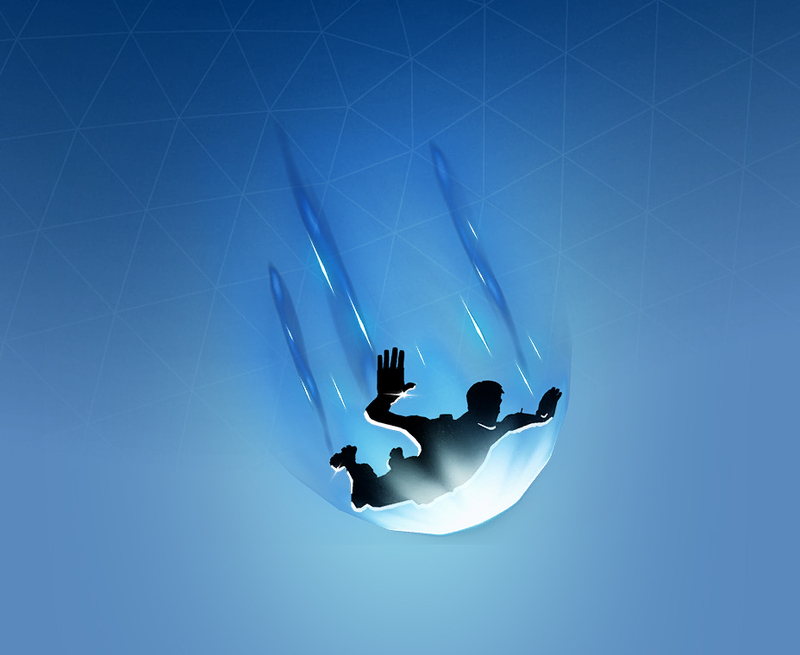 The Splashdown skin is available as a Tier 79 reward for Battle Pass Season 5 owners. 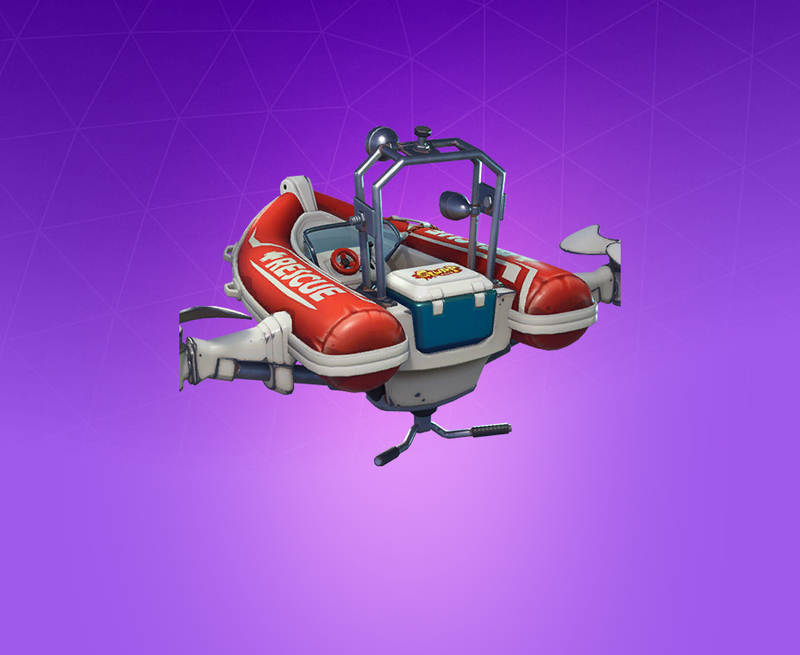 This Glider is from the Rescue Patrol set. 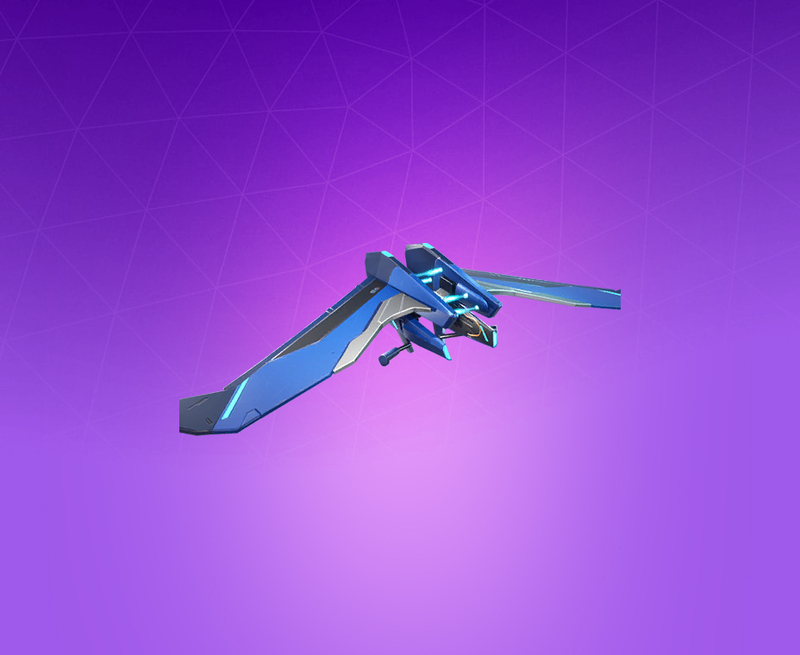 The Split Wing skin is available for 1,200 V-Bucks from the Item Shop. 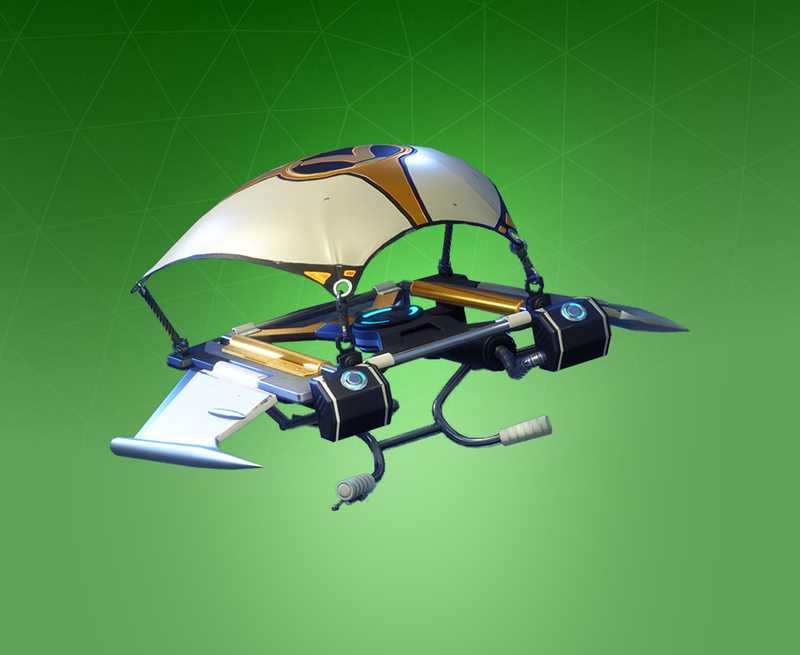 This Glider is part of the Overseer set. The Terminus skin is available for 1,200 V-Bucks from the Item Shop. It is part of the Oblivion set. The Venus Flyer skin is available from the Item Shop for 1,200 V-Bucks. 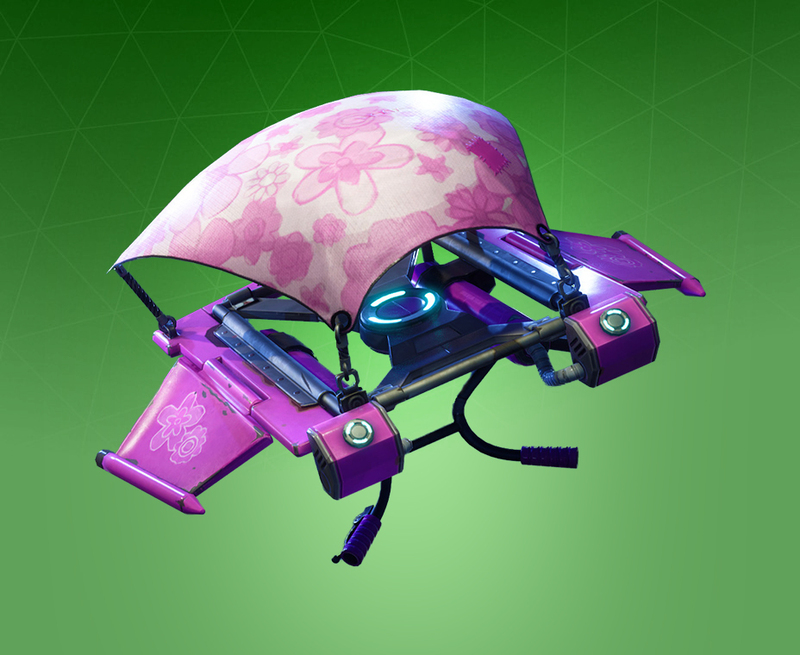 This Glider is part of the Flytrap set. The Viceroy Mark I skin is part of the Hardboiled set. 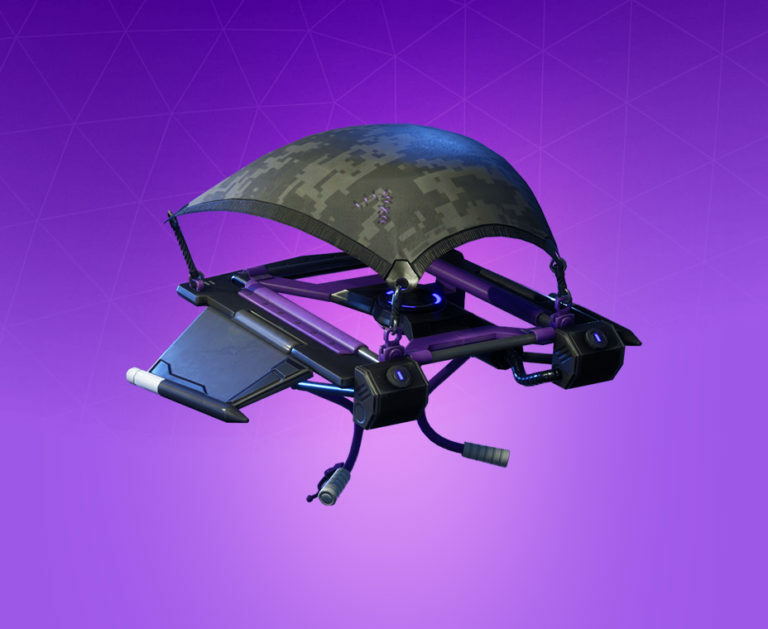 Players can purchase this Glider for 1,200 V-Bucks at the Item Shop. The Wings of Valor skin was available as a Tier 39 reward for Battle Pass Season 4 owners. This Glider is part of the Valiant set. 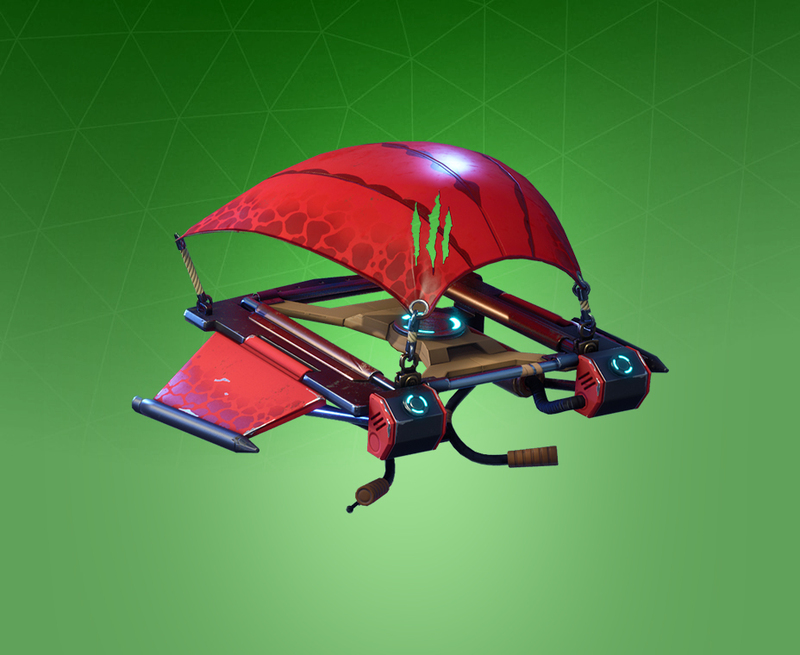 The Royale Dragon skin was available as a Holiday Glider skin. Players could purchase it for 2,000 V-Bucks from the Item Shop. The All-Star skin was a Tier 50 reward for Battle Pass Season 3 owners. The Bubbles skin was available as a Tier 68 reward for Battle Pass Season 3 owners. The Flames skin was available to Battle Pass Season 3 owners who reached Tier 84. The Glitch in the System skin is available to Free Pass players who reach Tier 54 during Season 5. The Hearts skin was available to any Battle Pass Season 4 owners who reached Tier 68. 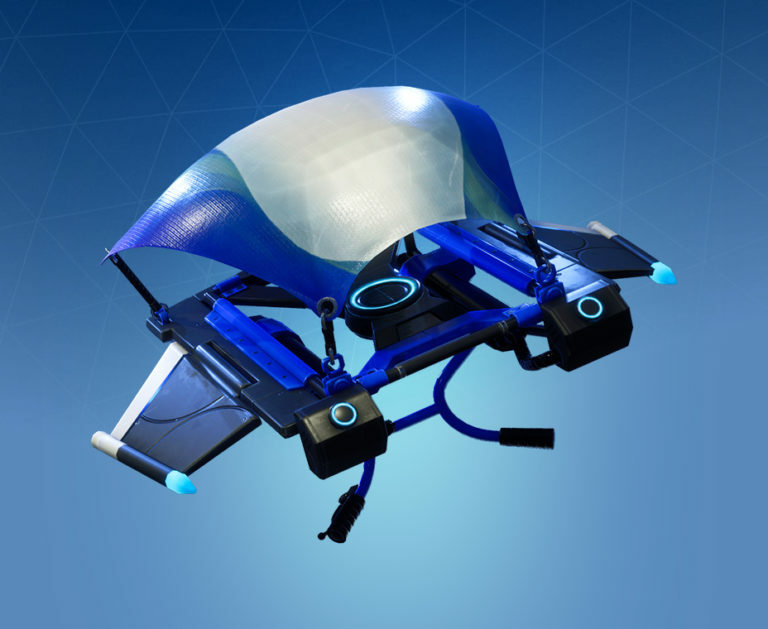 The Ice Crystals skin is available to Battle Pass Season 5 owners as a Tier 68 reward. 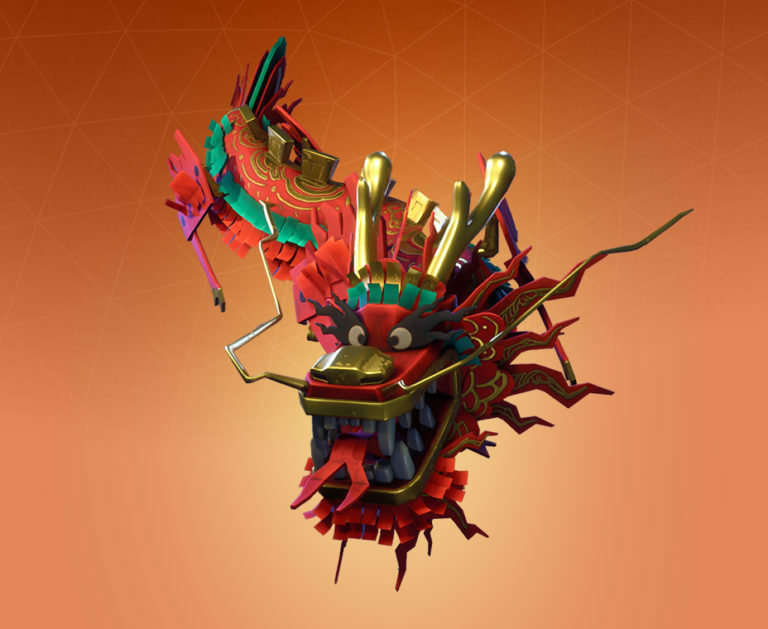 The Laterns skin is available to all Battle Pass Season 5 owners who reach Tier 20. The Lightning skin was available for all Battle Pass Season 4 owners who reached Tier 50. The Rainbow skin was available to all Battle Pass Season 3 owners who reached Tier 20. 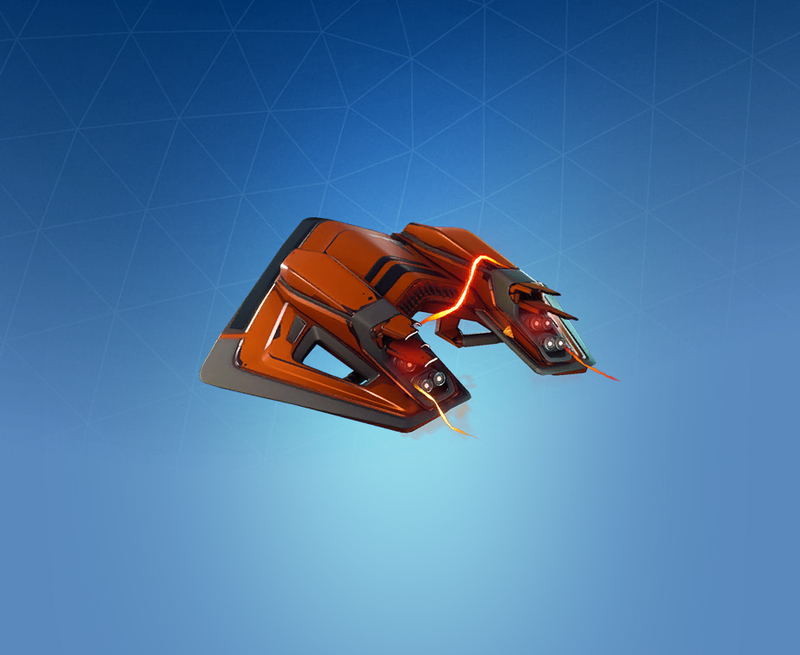 The Retro Sci-Fi skin was available to all Battle Pass Season 4 players who reached Tier 20. The Runic skin is available to any Battle Pass Season 5 owners as a Tier 36 reward. The Shooting Star skin was available to all Battle Pass Season 4 owners who reached Tier 84. The Spray Paint skin was available to all Battle Pass Season 4 players who reached Tier 36. The TP skin is available to any Battle Pass Season 5 player who reaches Tier 84. The Ultramarine skin was available to all Battle Pass Season 3 owners who reached Tier 36.